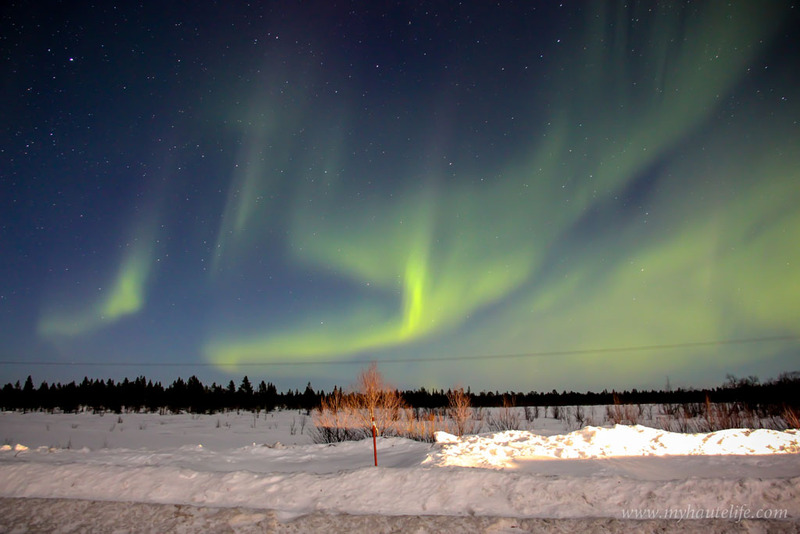 Call it a dream, a polar spirit or a natural phenomenon, the Aurora Borealis is nothing short of magic. 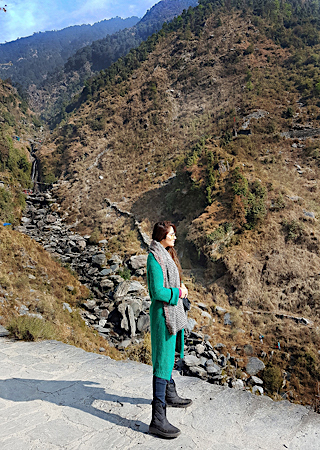 When Mother Nature parades it most glorious display, it will just leave you spellbound and seduced. 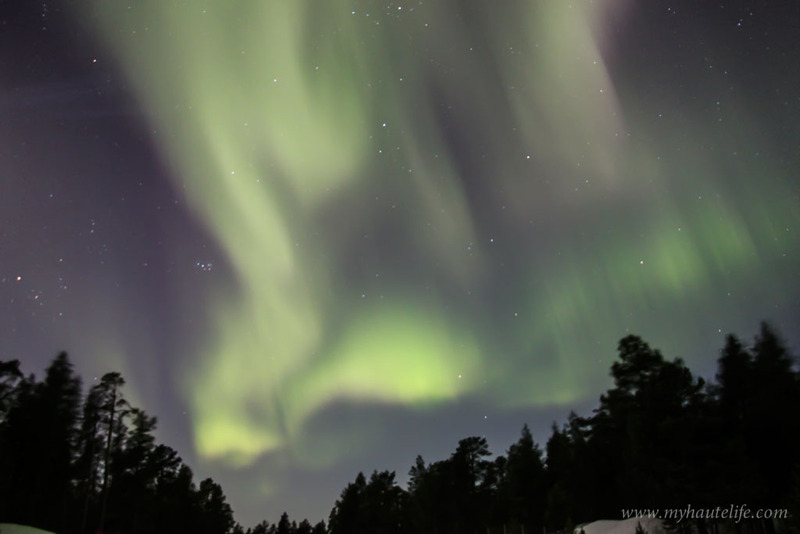 Gleaming hypnotically across the night sky, the Northern Lights are an absolute wonder and a lifetime experience. 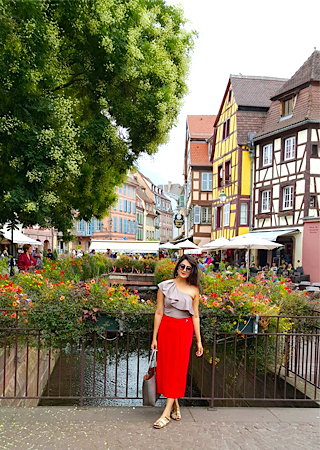 This trip has been on my agenda since the last two years but for some reason it didn’t work out. And you know what! I’m glad it didn’t. 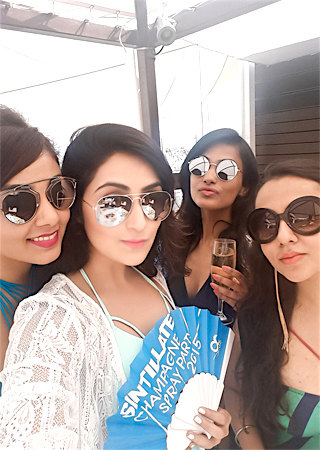 Because March 2016 turned out to be just perfect!! 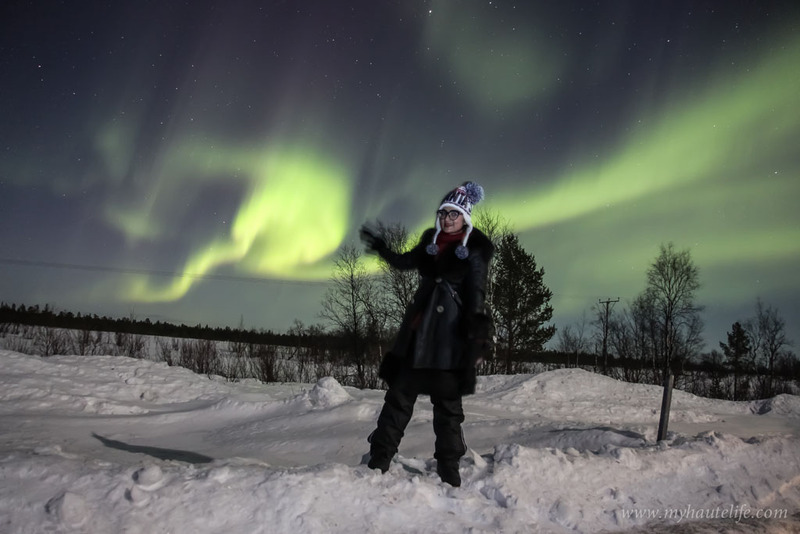 Not only did I spot Lady Aurora but I also had a magical time in Finnish Lapland. 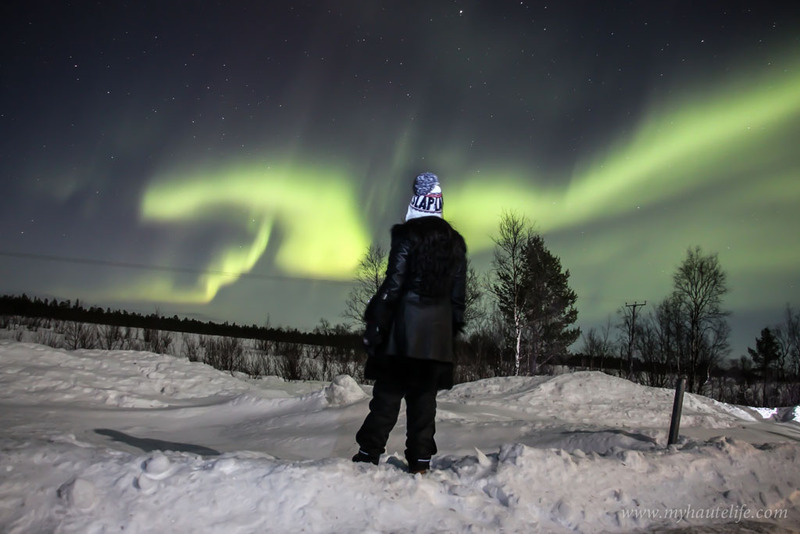 The only reason I’m writing a separate post about Northern Lights is because there’s so much you need to know about it and there’s a lot that goes into planning this trip. While I was doing some research before my trip, I had to scout a zillion websites for all the information I needed. So I put down all the questions I had when I was planning this adventure with related answers from my own experience. I reckon you grab some popcorn and coffee and cuddle up in a corner; this is going to take a while! The best part about this whole adventure is, that there is no guarantee that you will see the lights but when you do, nobody will be able to wipe off that smile from your face. No amount of words can do justice to nature’s most mesmerising show. 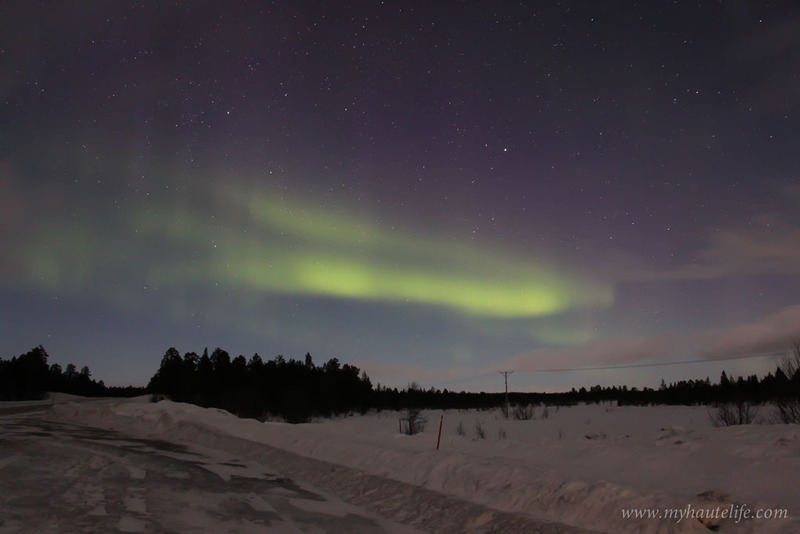 Our first sighting was on March 14th 2016 in Ivalo, Finland with Mr Juoni from Ivalo Trek Lapland. 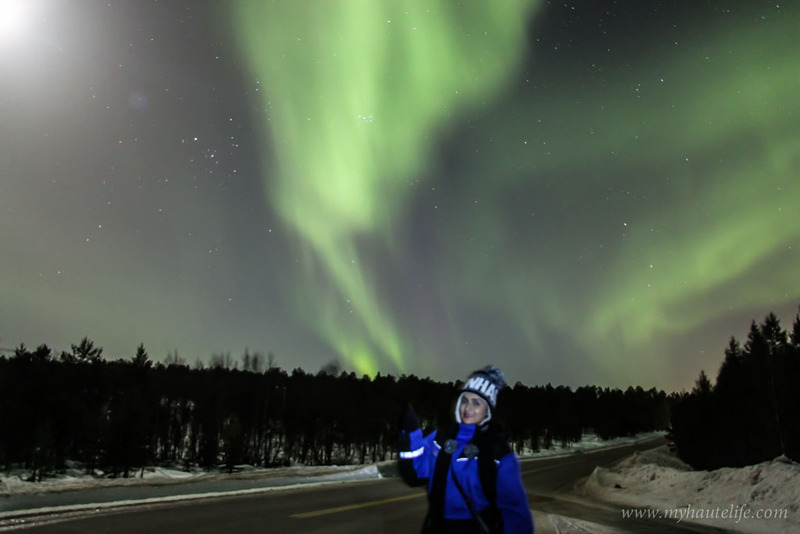 He had initially cancelled the tour because the weather was really bad, but then at 7.30pm while we were eating dinner he told us to get ready quickly because the weather had improved and there were chances of spotting the Aurora. We left our dinner and wine and rushed to the room to get ready. He then picked us and drove to Inari. 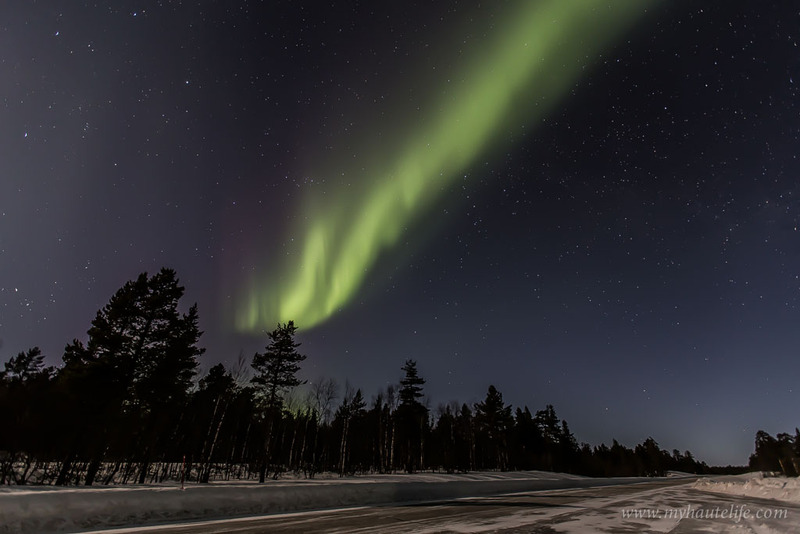 Since there was too much cloud cover and the activity was low we waited in a the coffee shop of Hotel Inari, where Mr Juoni threw light on some fascinating stories about his Aurora Experience and taught us how to click them too. Post coffee, he drove us to a lighthouse on a mountain, battling the clouds where we waited for the lights to appear. Since the activity was low we couldn’t see a sharp green light. It was faint and patchy and only appeared for 20 minutes. I was still so thrilled and couldn’t wait for the next night. 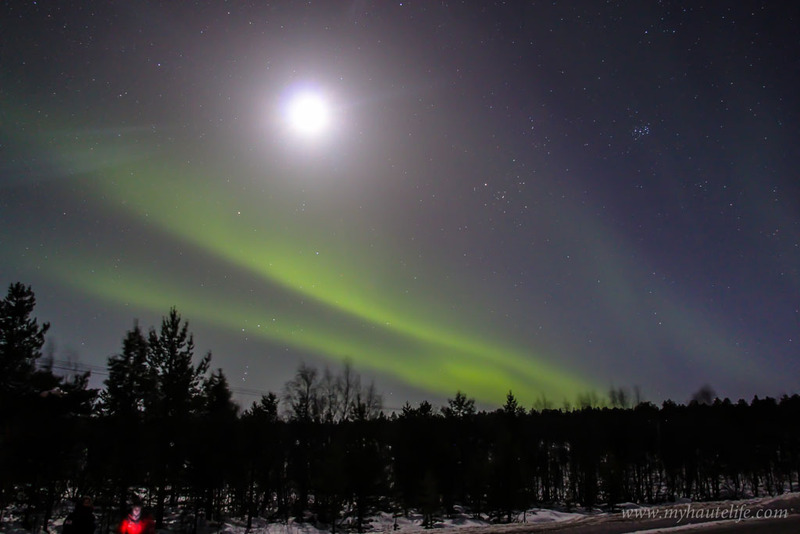 The second sighting was on March 15th 2016 near Inari, Finland with Club Nord (Hotel Ivalo). We had signed up for a group tour where the guide took us towards the Swedish border in a bus. 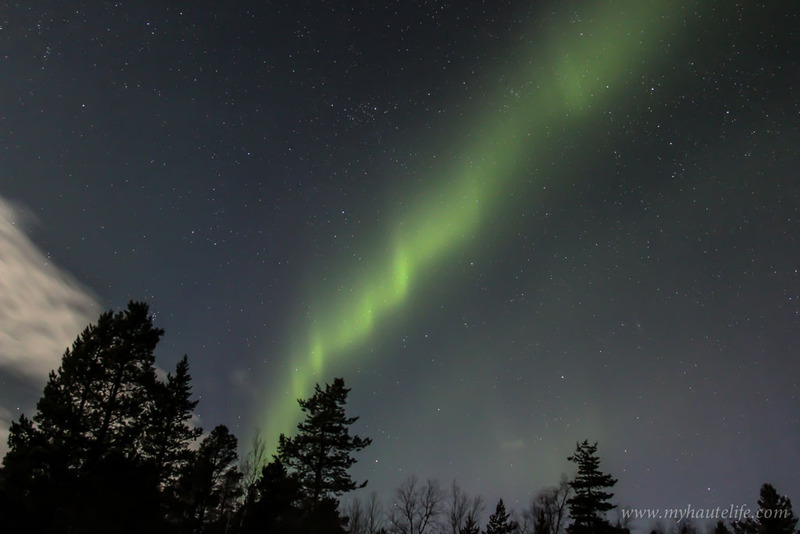 But before we could reach our destination, we made a quick stop near Lake Inari as he spotted a clear sky and some faint green lights. Like an excited little girl I jumped out of my bus and set up my tripod only to witness a beaming green light dancing across the horizon like a diagonal line. 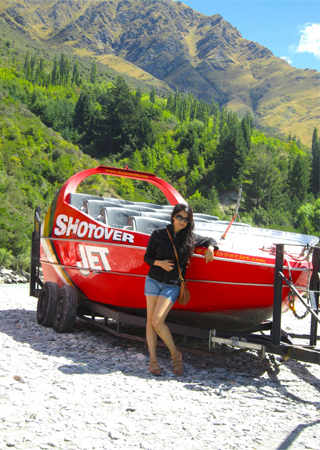 This enthralling sight had me gushing, my hands started to shiver in excitement while I started capturing this beauty. 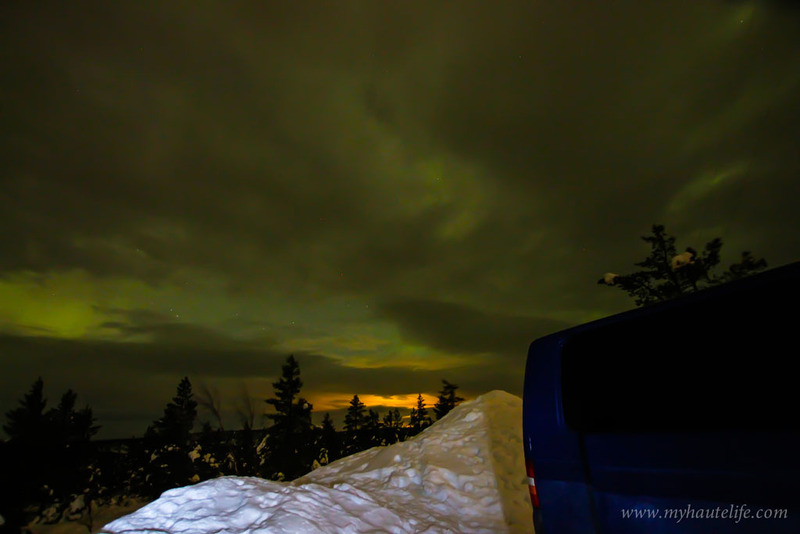 But our guide told us to get back in the bus quickly as he had a better spot in mind for the perfect Aurora experience. We were then taken in the middle of the Arctic Wilderness, a place he called the Fox Bridge (incase you’re wondering, yes there are tons of foxes in and around the forest here). It seemed like a land of icing sugar and trees. The entire group got down and started walking towards the bridge. The spot was beautiful; we were standing at the edge of a bridge with a frozen lake beneath and nothing but trees for company and maybe the foxes! At around 10pm, my fingers started to get numb but my patience was rewarding. 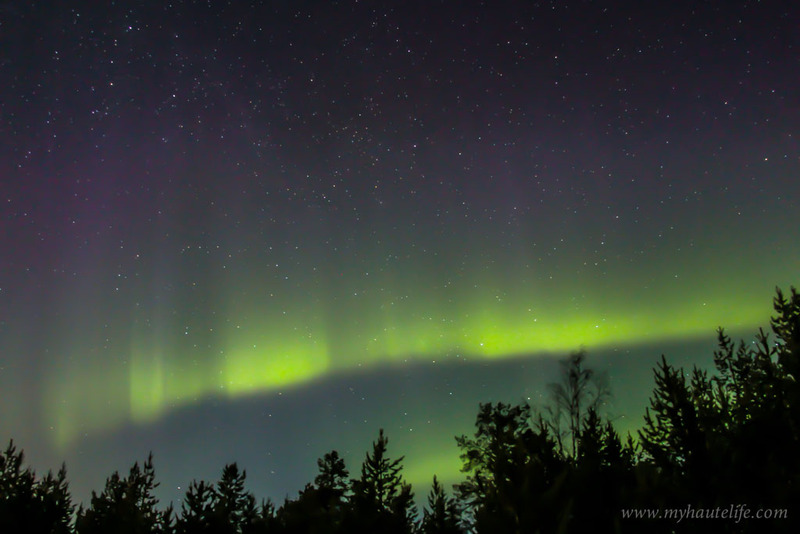 There she was, the Aurora Borealis in full form, playful and enchanting, bright and dancing just like I had imagined. 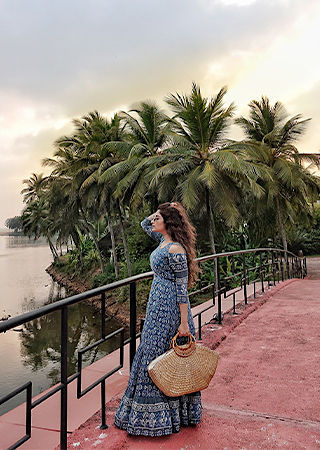 While she took over the entire sky, we clicked and watched. It was a perfect night that ended with tons of glasses of warm Lingonberry Juice. 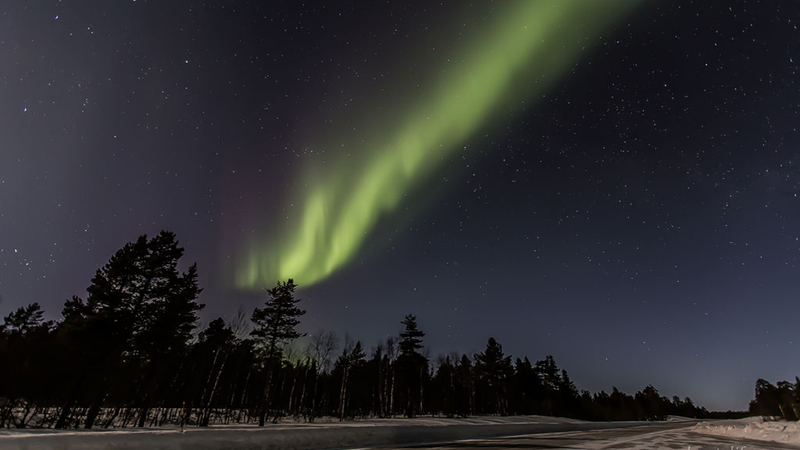 The Third Sighting was on 16th March 2016 100kms North Of Inari, Finland with Mr Juoni from Ivalo Trek Lapland. This time he drove us towards the actual Tundra region right next to a frozen lake in the wilderness. 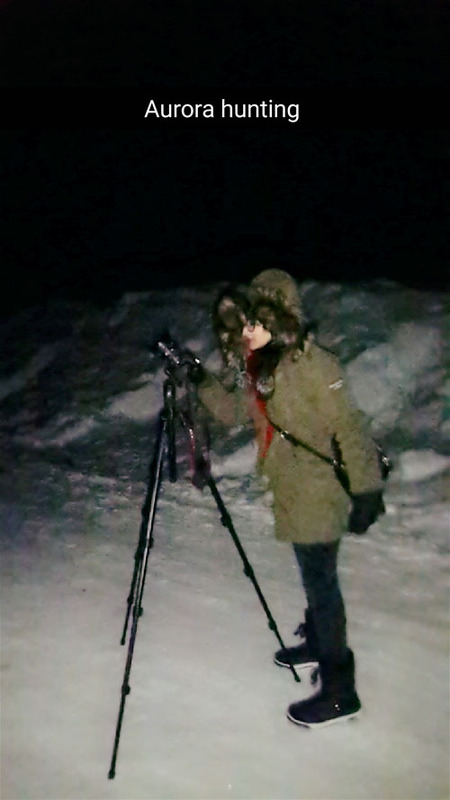 Since this was my third time, I was a total pro at adjusting cameras, getting equipment ready and staying warm, I knew the drill! At around 10.30pm there was a faint green light that danced across. 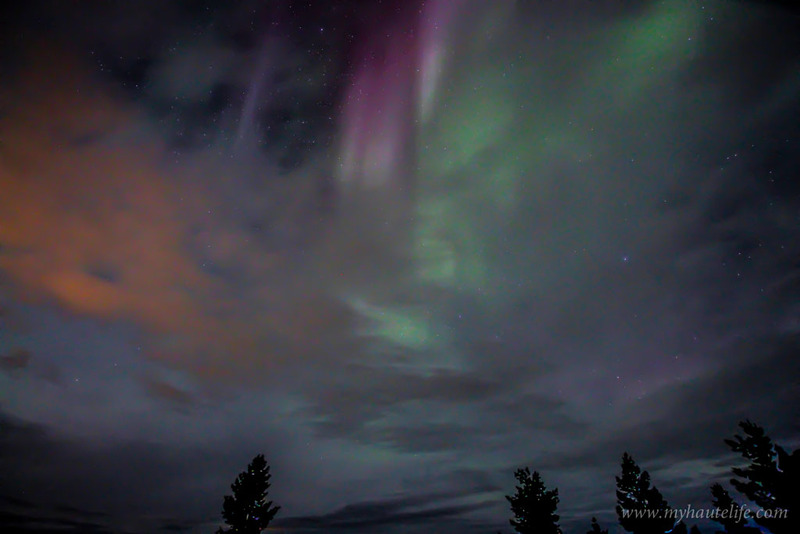 Just a few minutes later the Aurora made a magnificent appearance. This time she was even more bewitching than I had imagined. The lights took over the entire sky, some like ribbons and some spirals. 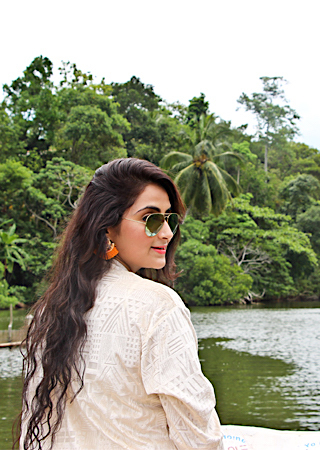 The shades of green were sharper, brighter and oh so magical. I wasted no minute in capturing this beauty, just that this time it lasted for about 30 minutes. That night we were treated to a dazzling display of reflections. I could stand there for hours. Juoni claimed that it was the best he’s seen this year. While driving back home we had to make another stop because this time it was right in front of us, in a band of green and pink. 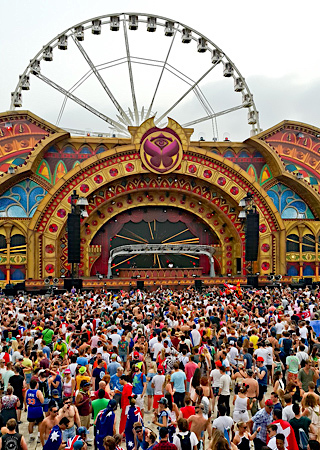 It was unreal! The moment we entered our hotel room, we could hear so many noises from the frozen lake. 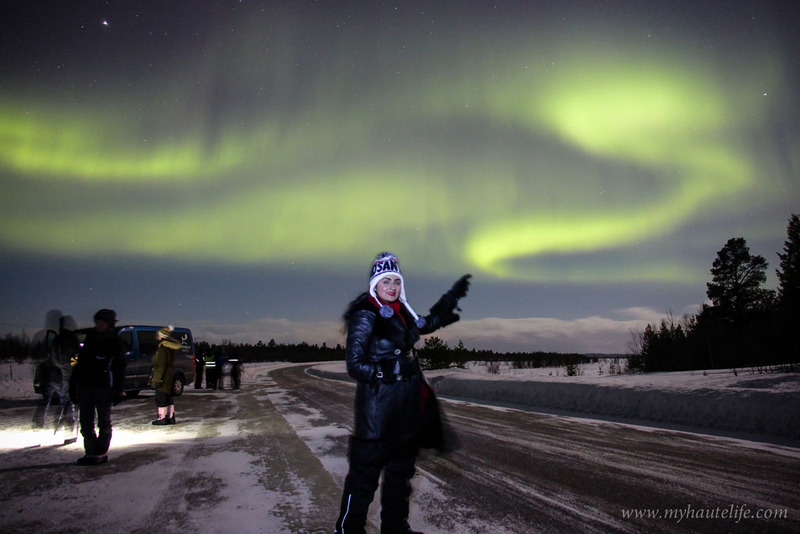 As we peeped outside the window we were amazed and shocked to see Lady Aurora glistening over Lake Ivalo, she was actually following us. We took our tripod and ran to the lake to join some fellow fascinators from China. 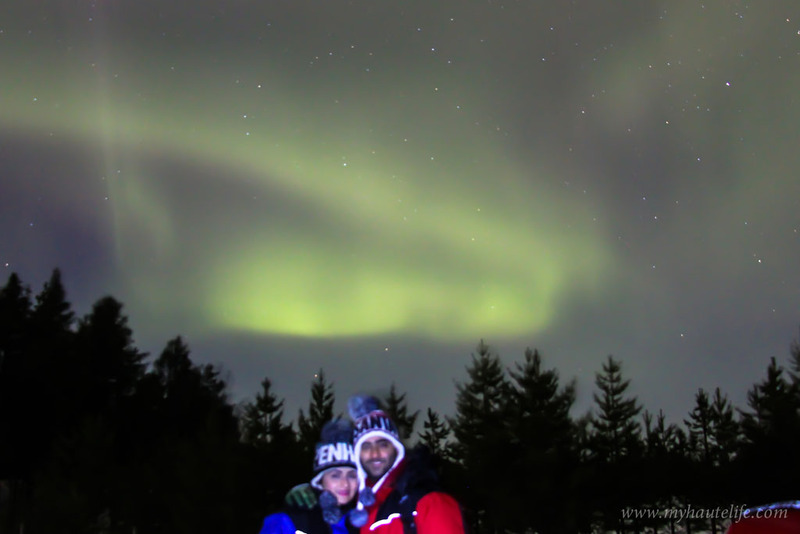 With time this magnificent light display was beaming from the trees above; we simply couldn’t believe our eyes. Even the chilling winds on the frozen lake couldn’t stop us that night. No amount of words or images can do justice to what we felt and experienced. 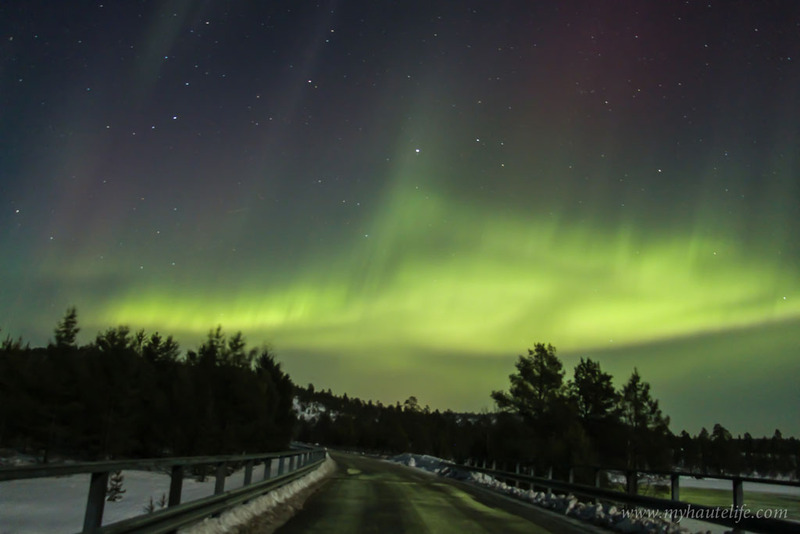 What is the Northern Light/ Aurora Borealis? The Northern Lights (also known as Aurora Borealis) are actually the result of collisions between the Earths atmosphere with charged particles released from the Sun’s atmosphere. Particles discharged from the sun travel 93 million miles (around 150 million km) towards the Earth before they are drawn irresistibly toward the magnetic poles. 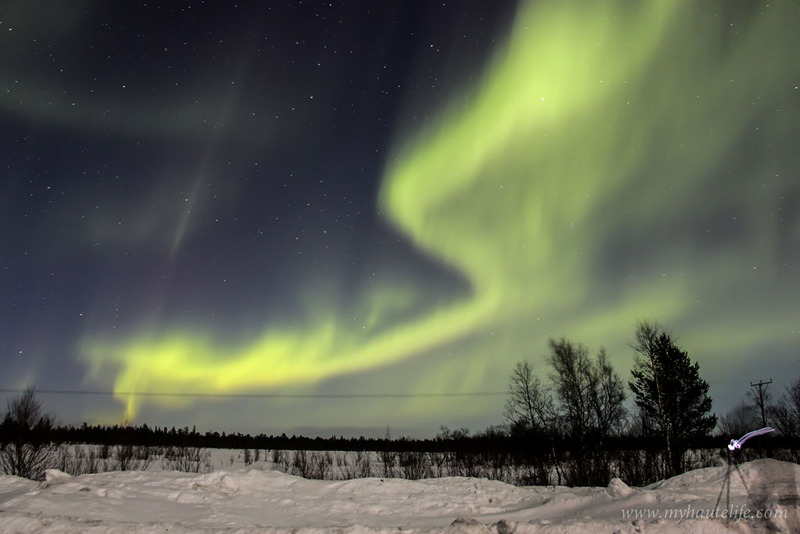 As the particles pass through the Earth’s magnetic shield, they mingle with atoms and molecules of oxygen, nitrogen and other elements that result in the dazzling display of lights in the sky. The colour variations are due to the type of gas particles that are colliding. These bright dancing lights are seen above the magnetic poles of the Northern and Southern Hemisphere. In simple words, when the sky is dark you will see lights in hues of green, pink or violet dancing above you, just leaving you spellbound. So as long as the Sun exists, the lights exist! 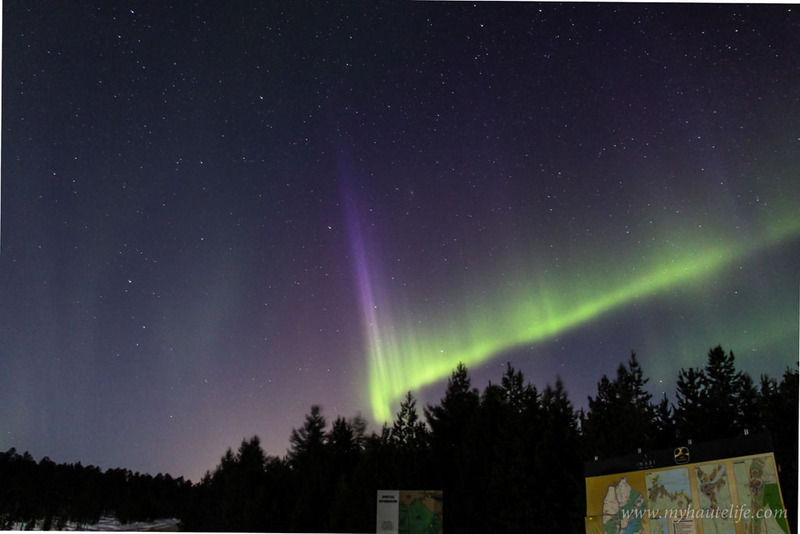 The Aurora has also been linked to the tales of mythology and legends. 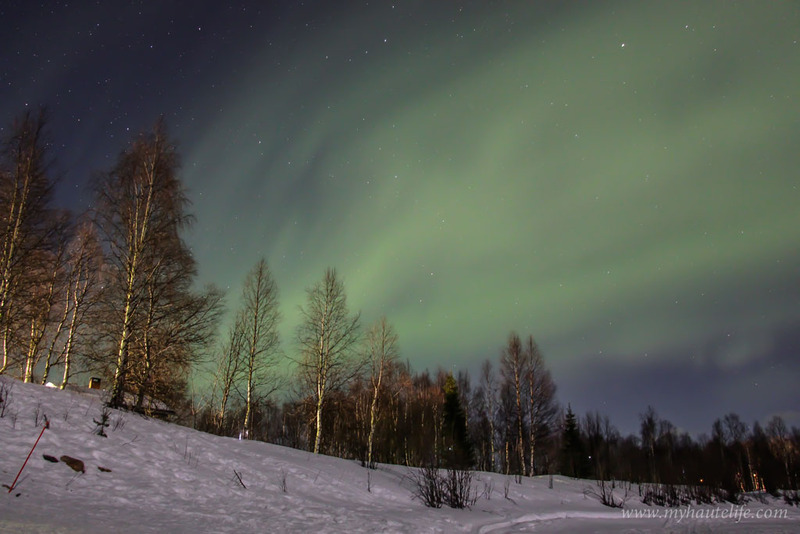 From which part of the world can you see the Aurora Borealis? To see this celestial disco in its full glory you have to head north towards the Arctic, above latitude 60 degrees at least. 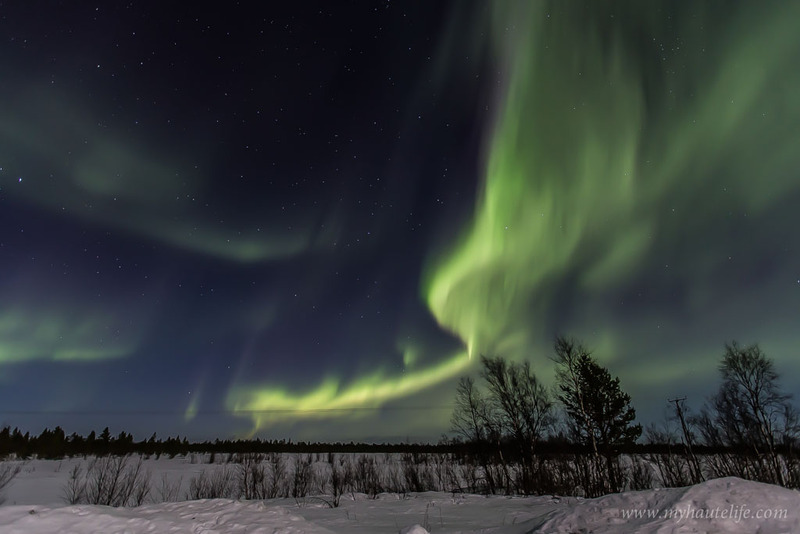 The Aurora appears in an oval shaped formation usually covering northwestern parts of Canada, Greenland, Alaska, Iceland, Norway (Tromso is popular), Sweden (Abisko sky station is one of the best spots), Finland, Lapland and Northern Russia. Sometimes, when the oval circles expand due to high activity the lights can be seen as far south as the top of Scotland and even Northern England. 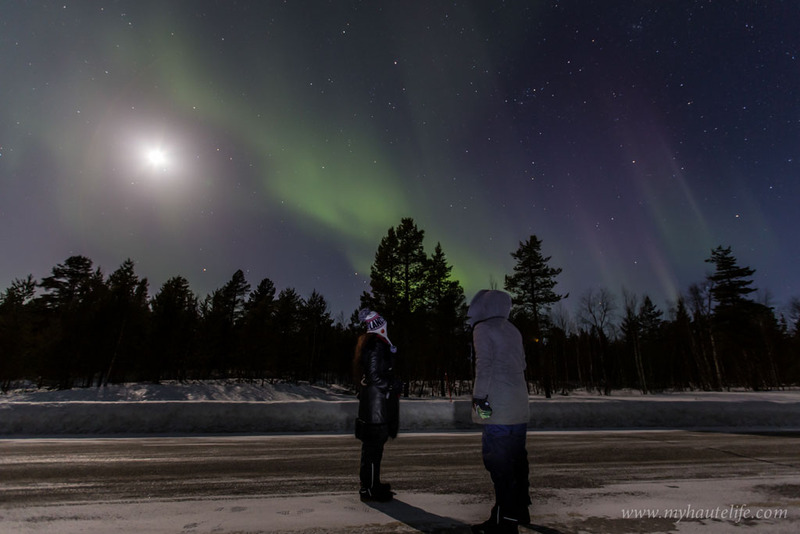 Best place in Finland to see the lights? For stronger sightings, it is advisable to go as north as possible. Since the lights occur near the magnetic poles, the closer you are the better it is. 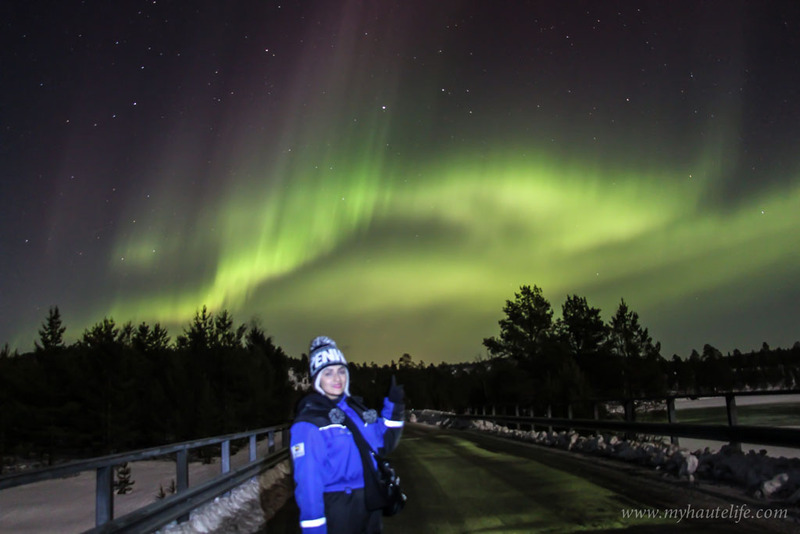 The towns of Utsjoki, Nuorgam, Kaamanen, Karasjok, Karigasniemi, Nellim and Inari are very good as they are up in the North and accessible too. Inari is by far the most popular one as the lights are active for around 200 days a year here, so some good planning can ensure guaranteed sightings. Further down is Saariselka (they have the most amazing Igloo hotel here), which is also good enough if the activity level is high. And then you have the towns of Levi, Rovaniemi, Oulu and Kemi where you do see the lights but the chances aren’t that high. If the activity is above 5 and the sky is clear then you can see it from any of these spots. It’s all about getting a clear sky. I stayed in Rovaniemi, Saariselka and Ivalo, towns that are famous for their winter activities too. 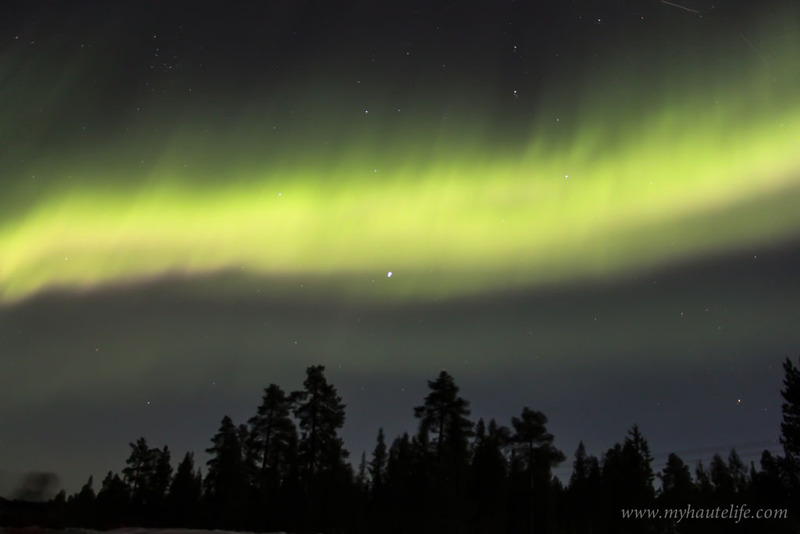 I spotted the Aurora during my stay in Ivalo, once I could see it from my hotel, on the other days we drove to Inari(20 minutes from Ivalo) and the areas around it. 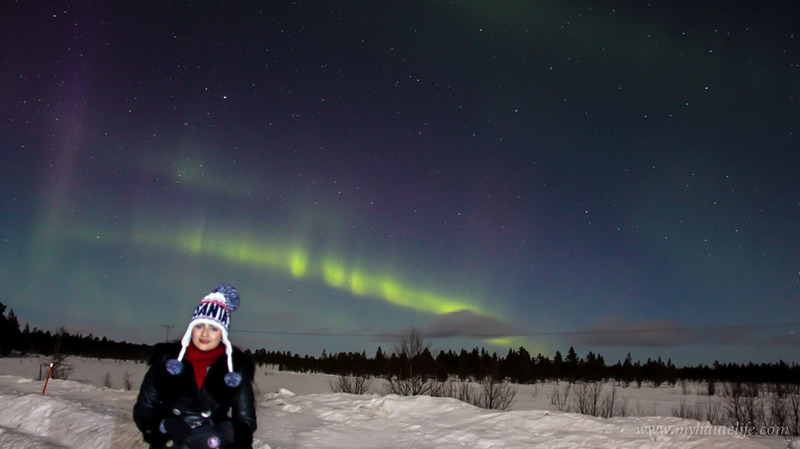 I would recommend you stay in Ivalo or Inari and then hunt for the lights further north. 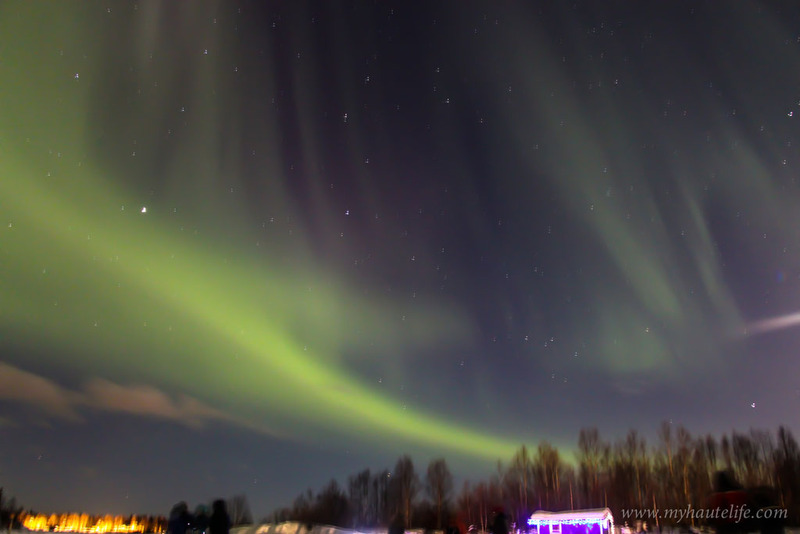 Can the Aurora be predicted? 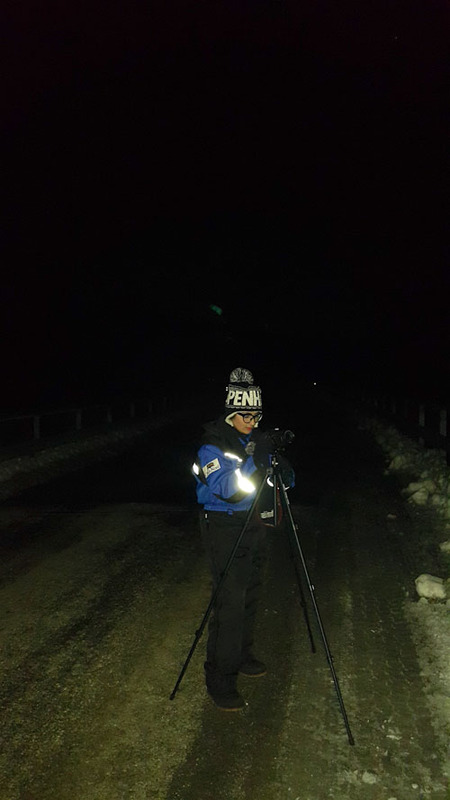 What website and apps are needed to track the lights? The Aurora Borealis is a natural phenomenon and can’t be perfectly predicted even with the best possible systems. 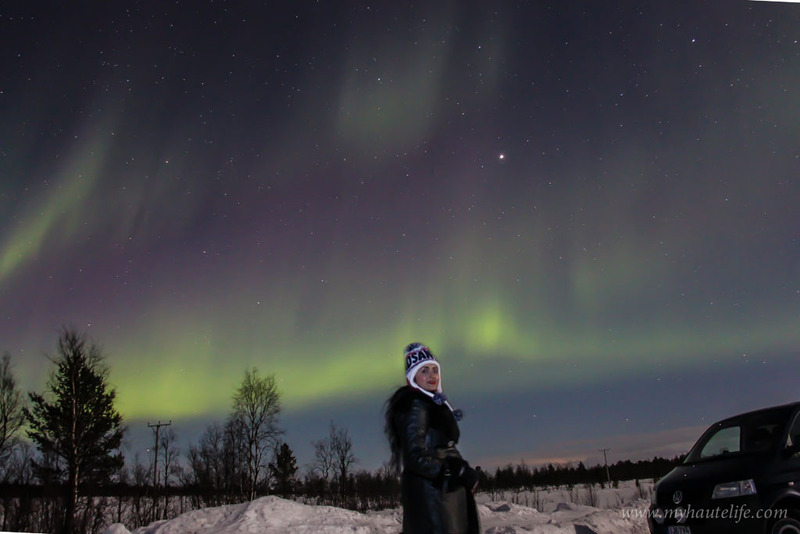 Seeing the Northern Lights requires a complicated combination of events to occur. Firstly, it’s very important to plan your trip according to the weather conditions. Secondly, it’s all about luck. Some people might not see it for weeks and some might see it three days in a row (well that was me). In order to see the lights, you have to keep a check on the auroral activity of that day (KP index as well). 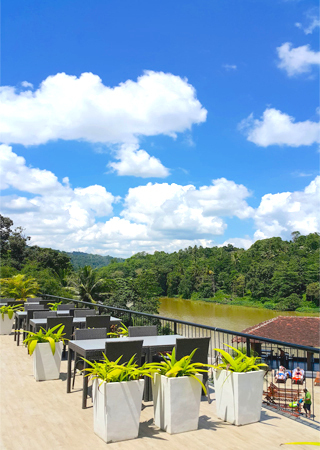 Since the weather changes rapidly, check the activity level four to five hours before sunset. If the activity level is above 4 then the chances of seeing them are higher. Here are the two websites that I used frequently and they were quite accurate. 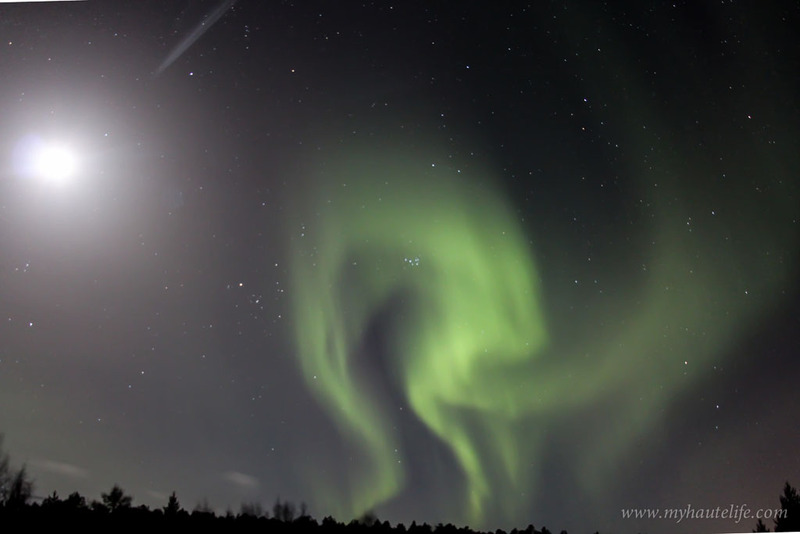 There are also several Aurora forecast and alert apps that you can download on your phone. But for me these websites worked the best. 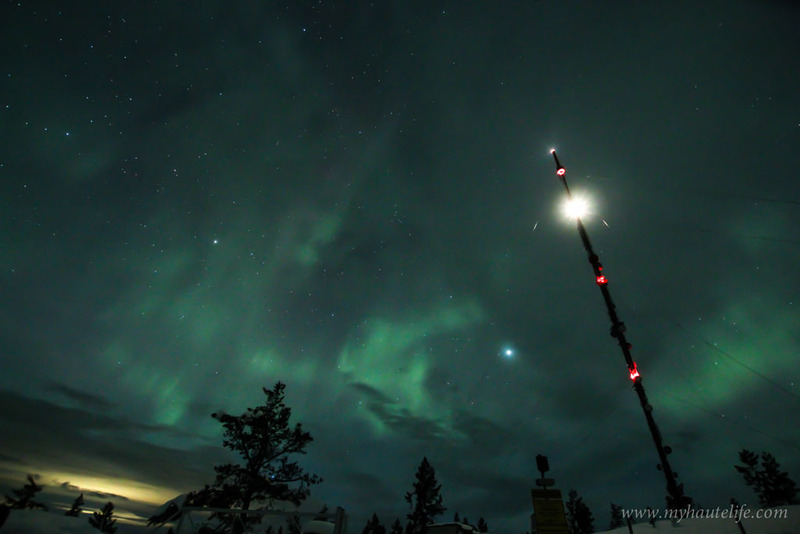 If you have hired an aurora hunter, he could also check it for you and so can your hotel reception. The most important element is to look for a star- if you have a clear sky, spotting the lights will be easy. 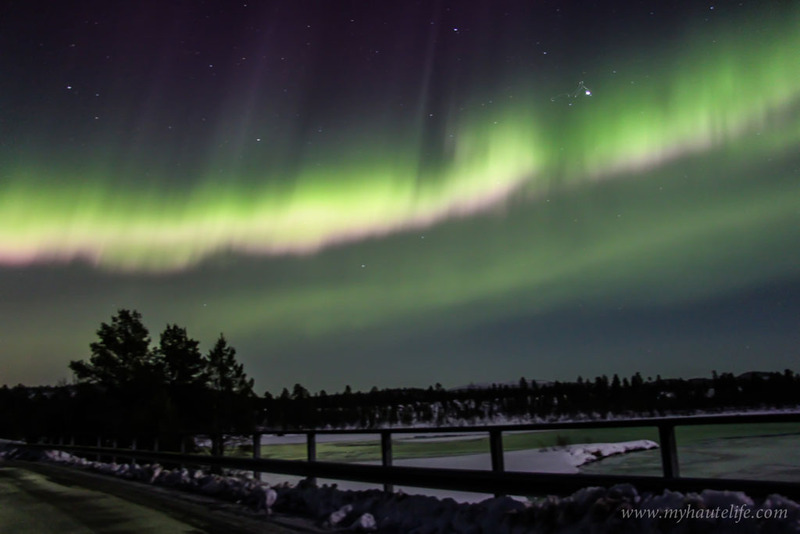 What is the best time of the year to spot the Aurora? 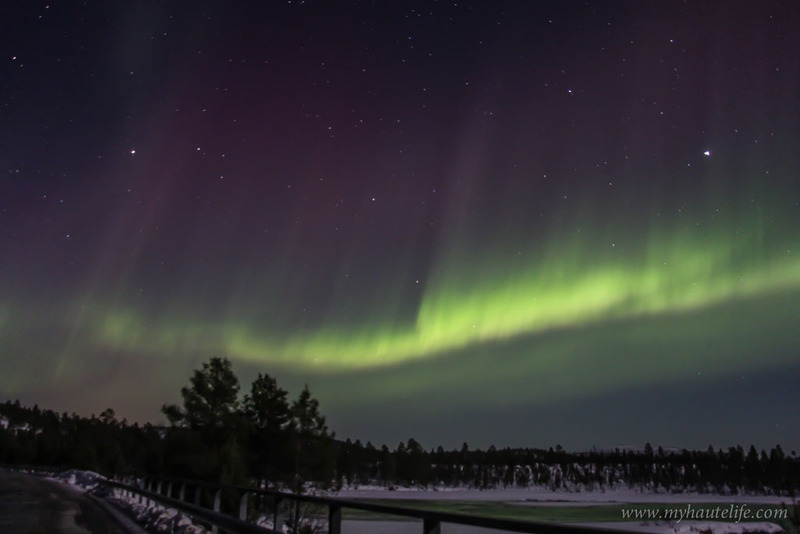 Since you will be going up North, winter is the best time to view the Aurora, from late September to end of March. Statistically the months of March, September and October are the best months for the sightings. 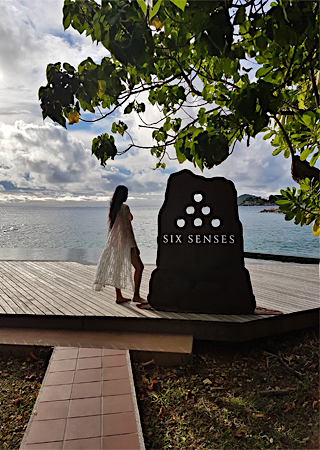 I planned my trip in the second week of March and it was successful. This time of the year is the best due to lower levels of light pollution and the air is clean and crisp. Not only is the weather bearable (approx -10degrees), but you also get more daylight for other activities. Keep in mind that December January can go as low as -30degrees with knee deep snow and only a few hours of daylight, so plan your trip accordingly! 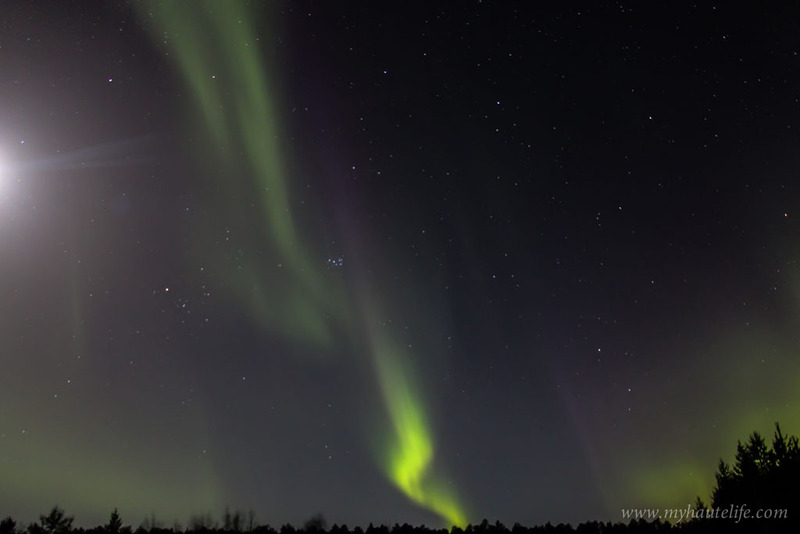 How far do you have to go from the city to spot the Aurora? 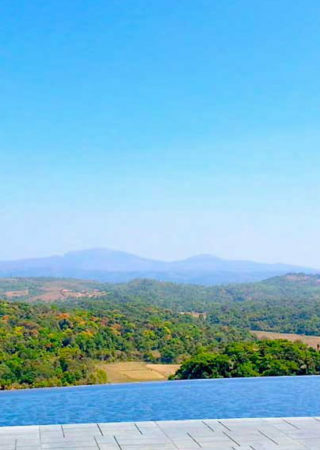 Can it be seen from the hotel? 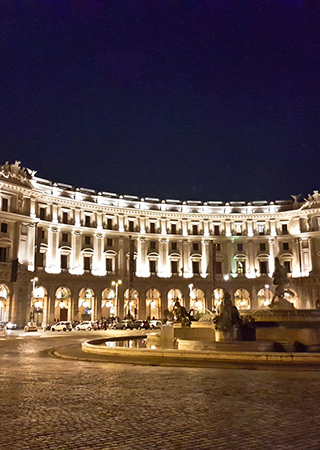 You have to be very lucky to view the lights from your hotel. 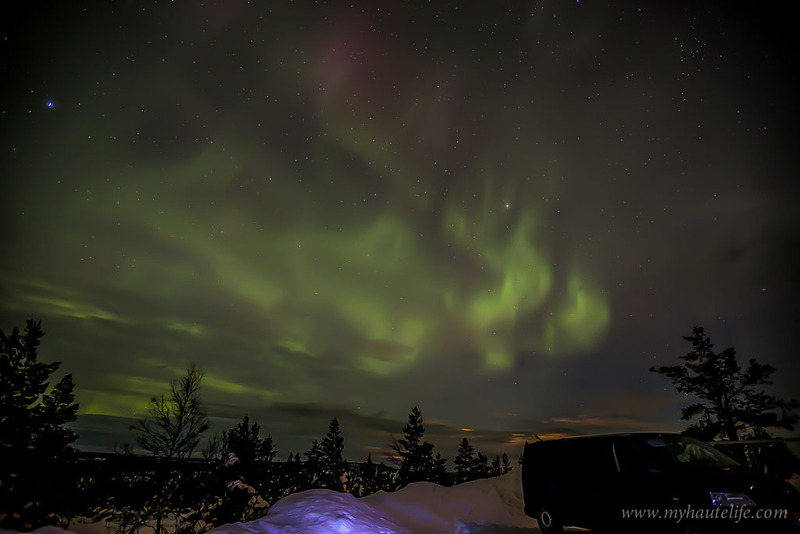 Ideally, lack of light pollution provides favourable conditions for the aurora. If you can see the stars clearly, you will see the lights too. For instance, in Rovaniemi it was impossible to view the lights from the city as it was too bright everywhere, but in Kakslauttenen (Saariselka), we stayed in an igloo where the resort was away in the wilderness, there were no city lights and the whole area was dark after sunset so it was very easy to spot the stars from the igloo. You don’t have to take a separate tour if you’re staying there. Well, I wasn’t lucky with the lights in Saariselka because the activity level was too low. 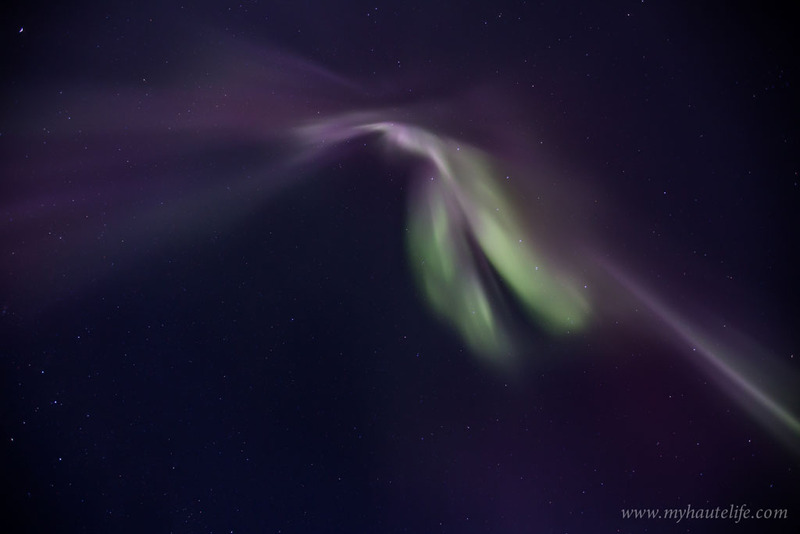 In Ivalo, I took a tour with a professional aurora hunter and was extremely fortunate to spot it three nights in a row. On the third night, since the activity was really high, I could even see it from my hotel room. 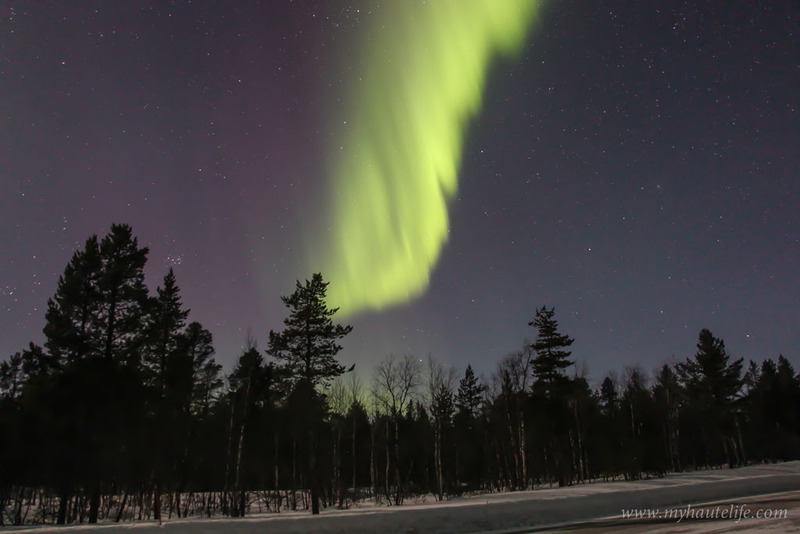 How do you plan Aurora Hunting? 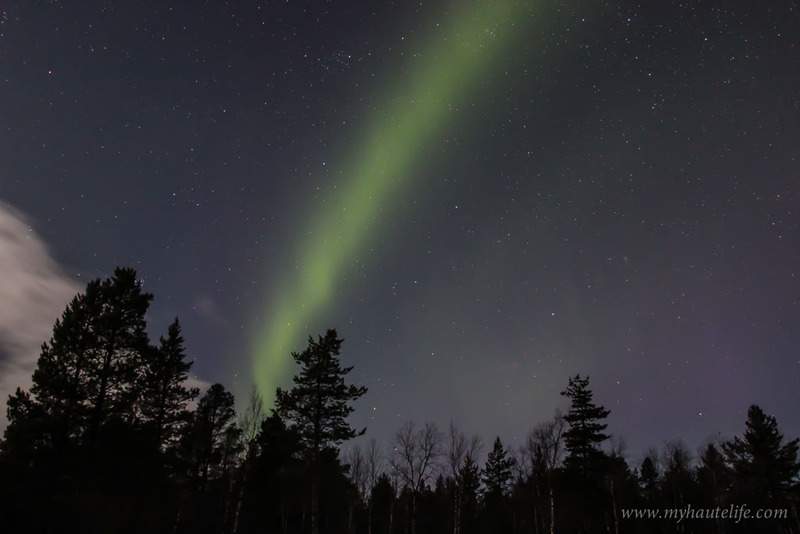 Different types of Aurora Hunting? 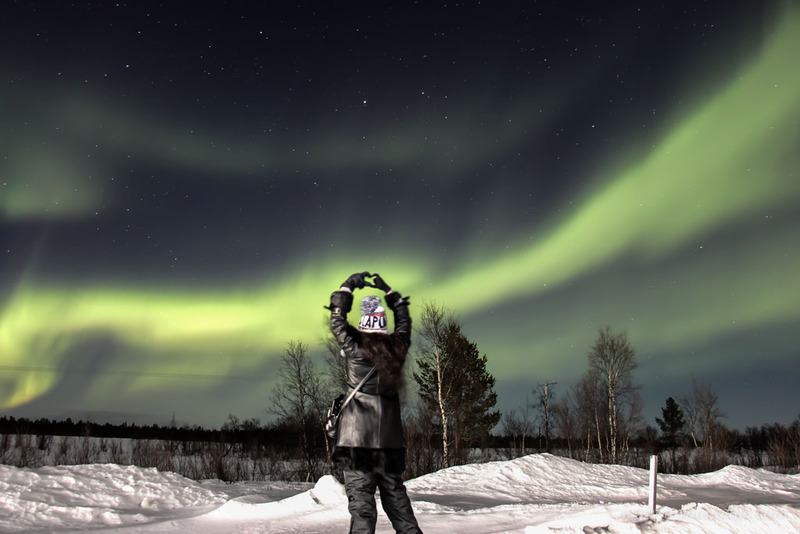 Patience is a virtue when chasing the Northern Lights. You have to stay in each town for at least 3 to 4 days in order to increase your chances. Next, check the weather conditions, if its cloudy or snowing there’s no way you can see the lights. 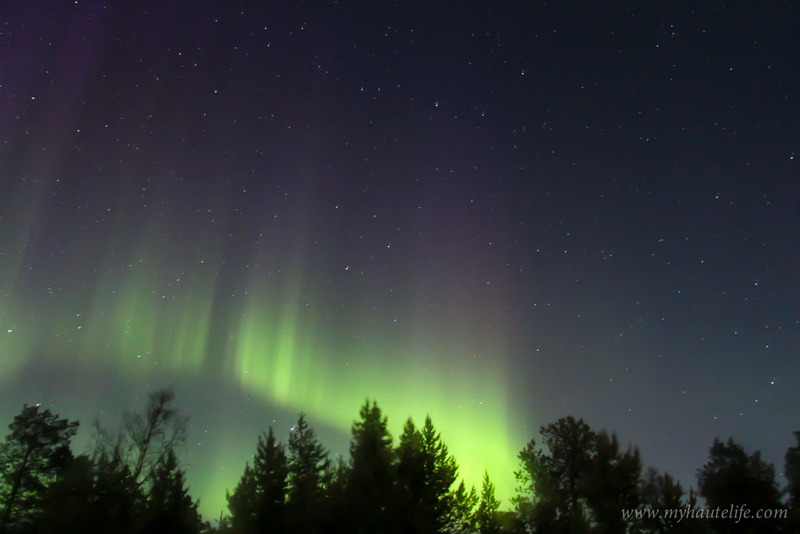 Once this is sorted, you check the activity level of the Aurora and if that is high then head out to a spot away from the city lights or hire a professional expert. A hunting session doesn’t have to be boring. 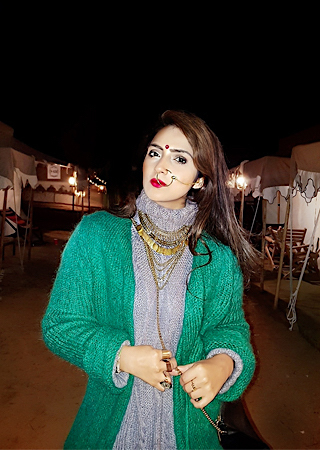 If your main agenda of the trip is only to view the lights and if you have limited number of days then you can combine it with other fun winter activities. 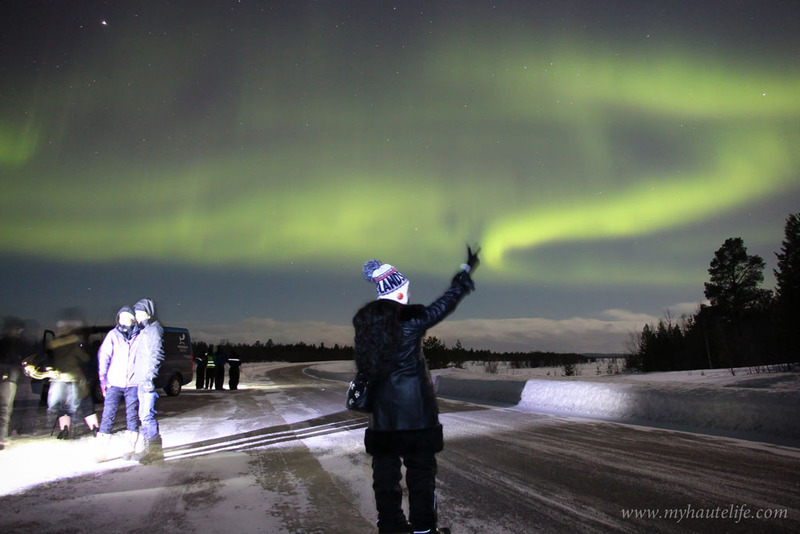 Many hotels and tours offer fun ways to view the aurora such as snowmobile tours, glass carriage ride (Hotel Ivalo does), reindeer ride, husky safari, a Sami session in a Teepee (tent). 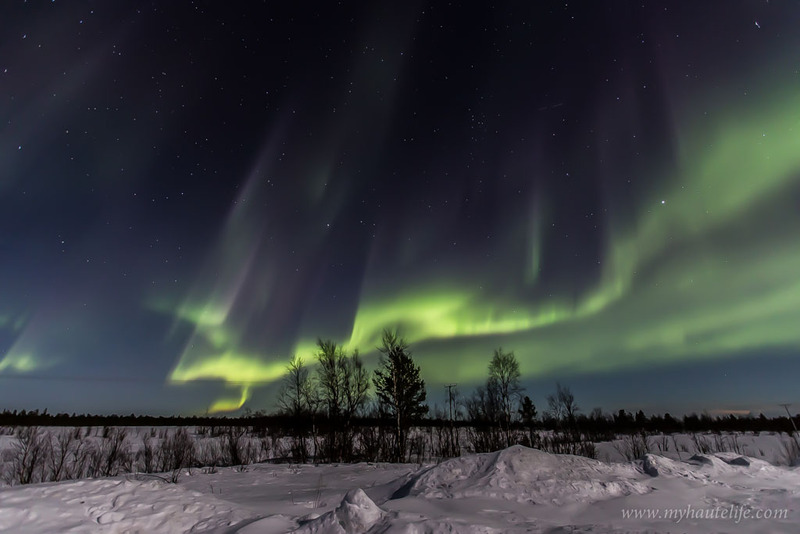 What time does the Aurora appear and how long does it stay for? The Aurora has no fixed timing. 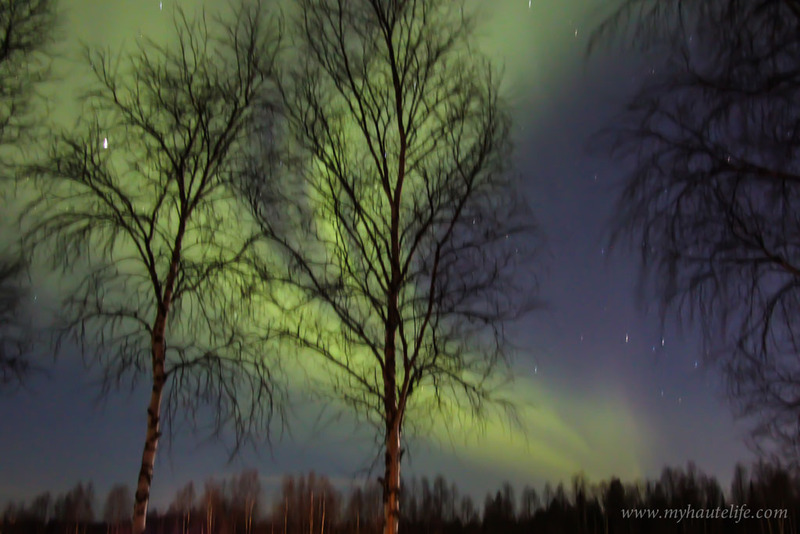 The moment it gets dark around 7.00pm, you can start the Aurora Hunt. 9.00pm to 2.00am is generally the prime viewing time. I mainly saw it between 10.00pm & 11.00pm. The lights can be on for as short as two minutes or can go on for as long as two hours, it’s all about luck! How many days do you need? 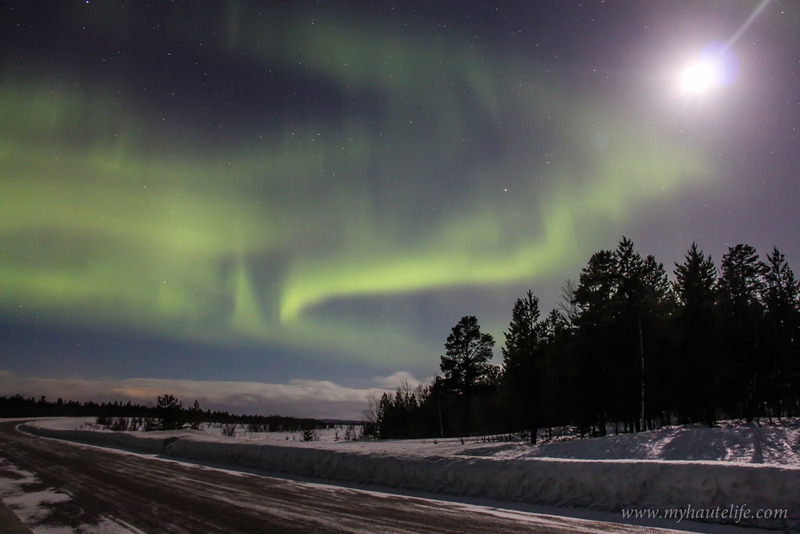 How to plan a trip for the Aurora Borealis? Before planning the trip check the weather conditions, not that you can rely on it completely but you will get a rough idea. Choose the correct month to avoid a cloudy and snowy sky. Dec until Feb is usually too cold and cloudy. I went in March and the weather was just perfect! Then, pick your Aurora locations appropriately. In Finland I suggest Inari (near Ivalo) and the area around it. Try spending minimum 4 days in each location. 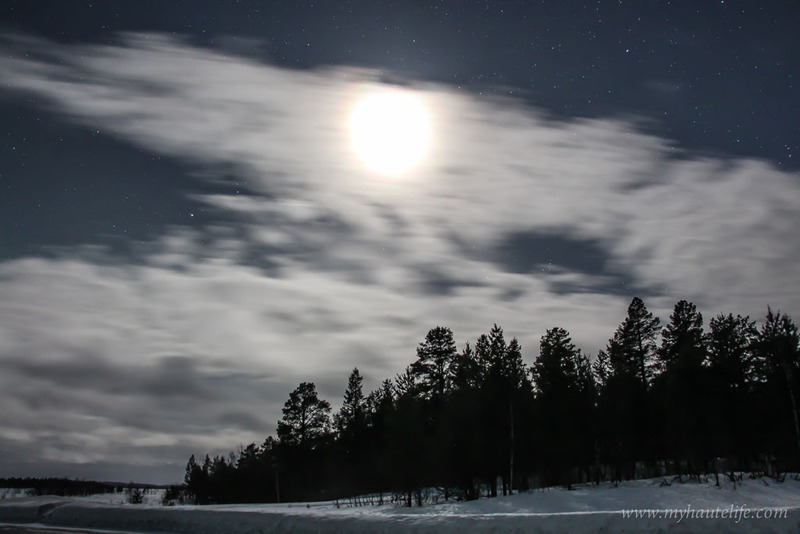 I stayed in Rovaniemi for 4 days, Saariselka for a night and Ivalo for 4 days. 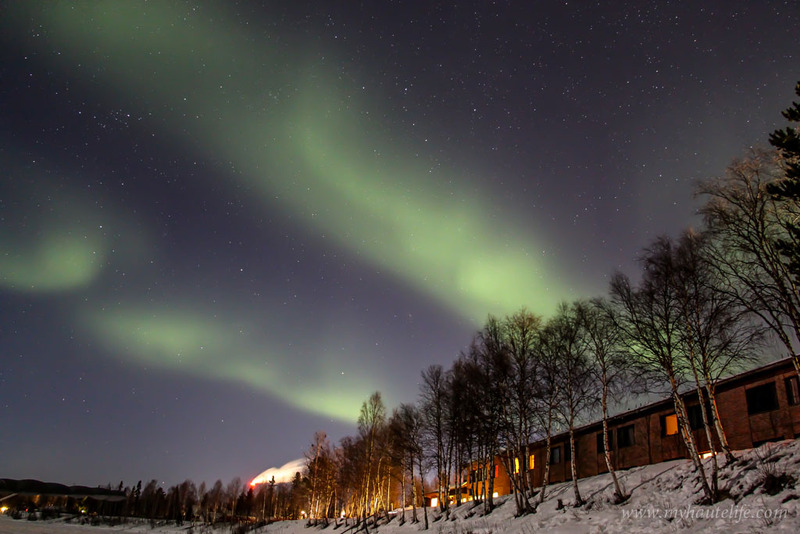 You could either choose a Wilderness Lodge (Nellim has one) or stay in a hotel (I stayed at Hotel Ivalo). 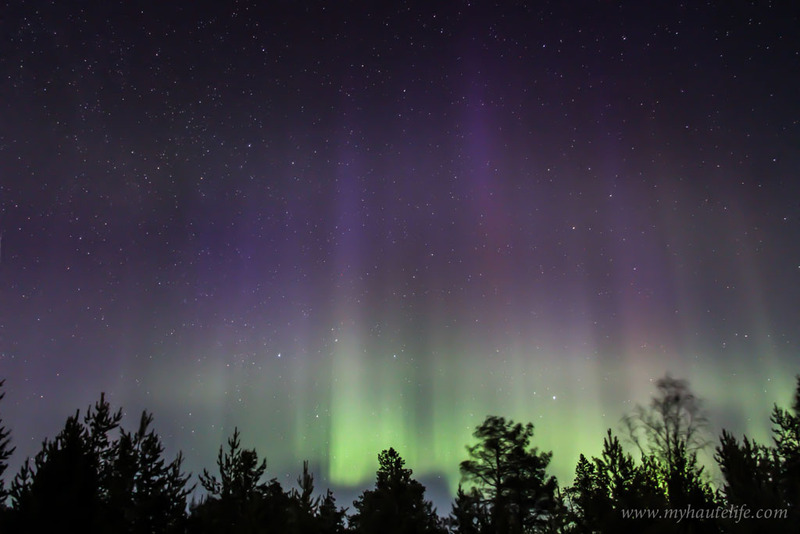 Do you need Aurora Hunters? How to select a good one? 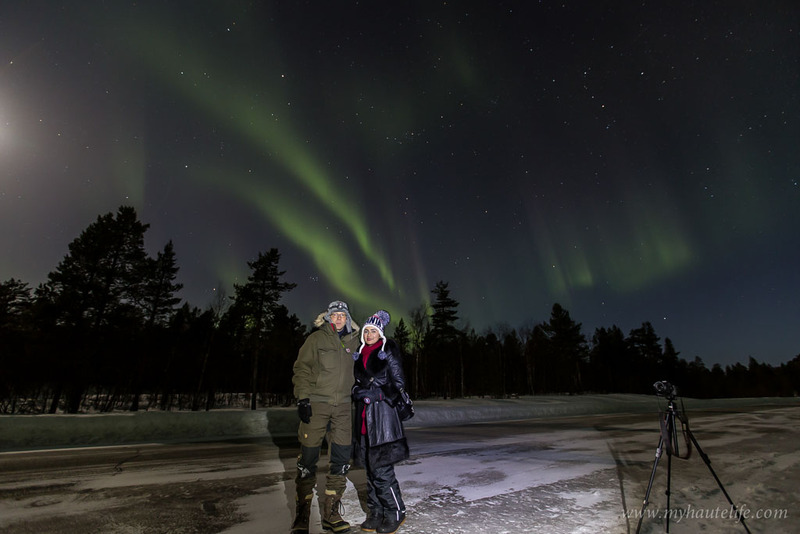 Yes, its very important to go for these excursions with the experts as they know how to track the lights, they chase the clouds and take you in areas which are dark and away from the city lights making it easy to spot the Aurora. Hunters religiously monitor meteorological data using certain websites and apps. They also help you photograph the phenomenon and it’s more fun to do these activities in a group. 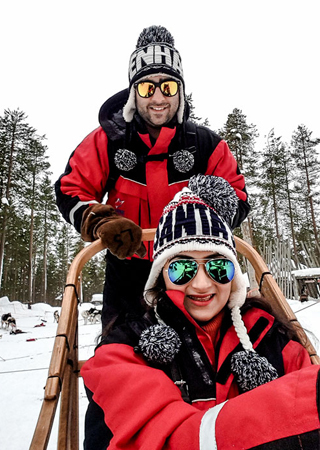 These tours can be between 4 to 6 hours accompanied with hot drinks, thermal clothes and shoes (depending on the company chosen), interesting stories from guides and sometimes a bonfire in the Arctic if the wait is too long, isn’t that fun! 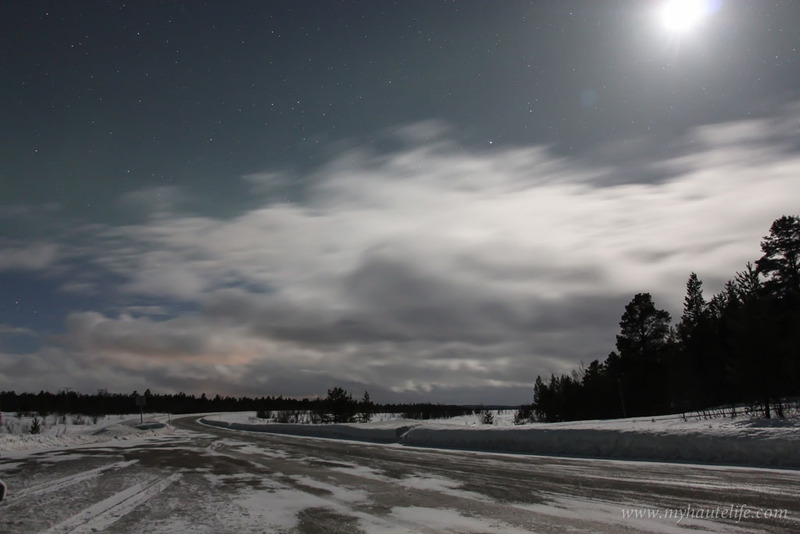 You can try the Aurora hunting by yourself too, but then you need to have a car so you drive far away from the city and keep a track on the weather, the clouds and the auroral activity all at once. I say, leave this to the locals who are well versed with the area. 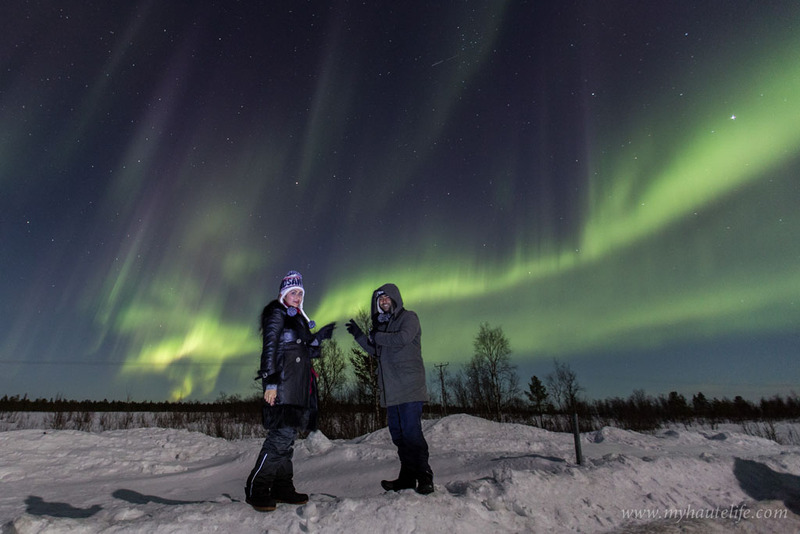 To choose a good Aurora Hunter, make sure to read their reviews across several platforms before booking one. 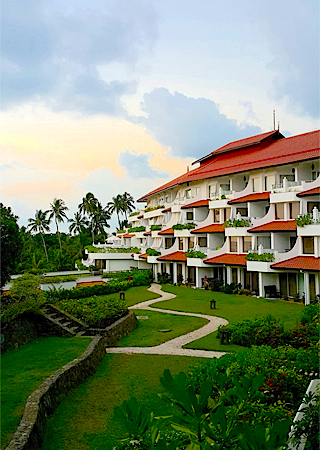 Most hotels also organise tours for their guests or they can recommend the famous ones. I hired this service only in Ivalo, as the conditions were more favourable there. I highly recommend Mr Juoni from Ivalo Trek Lapland. He was extremely professional, kind, helpful and a total pro at this. He would drive you to any corner to make sure you see the Northern Lights. He also taught me how to capture the lights correctly. I took two tours with him and both were successful. If it’s cloudy and the activity is poor, he won’t waste your time and money, he will suggest cancelling the tour! He takes smaller groups, more like a personalised tour in his van and makes a stop for coffee at Inari. I would also recommend Club Nord, the activity centre in Hotel Ivalo. Since I was staying here, on one of the nights I took a Northern Lights tour with them and it was amazing. 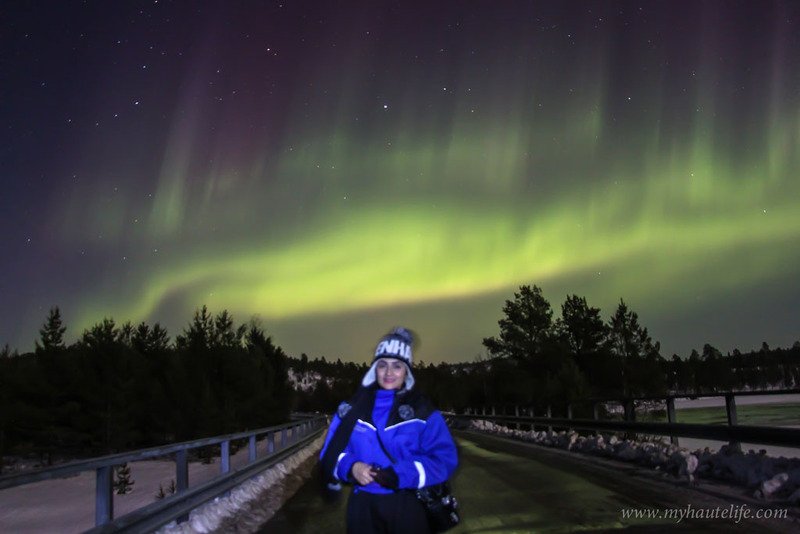 The guide was superb, he drove us towards the Swedish border, helped us with photography and we saw a spectacular light show that night. This tour was in a bigger group of 15 people in a bus and was so much fun! 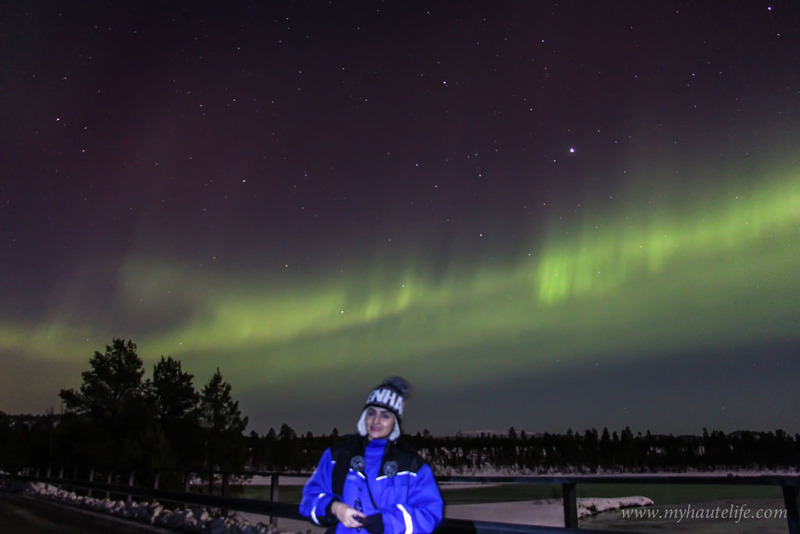 Get in touch with Sisko, the manager of Club Nord, she’s a kind lady who will help you out selecting the right date for the Aurora viewing. 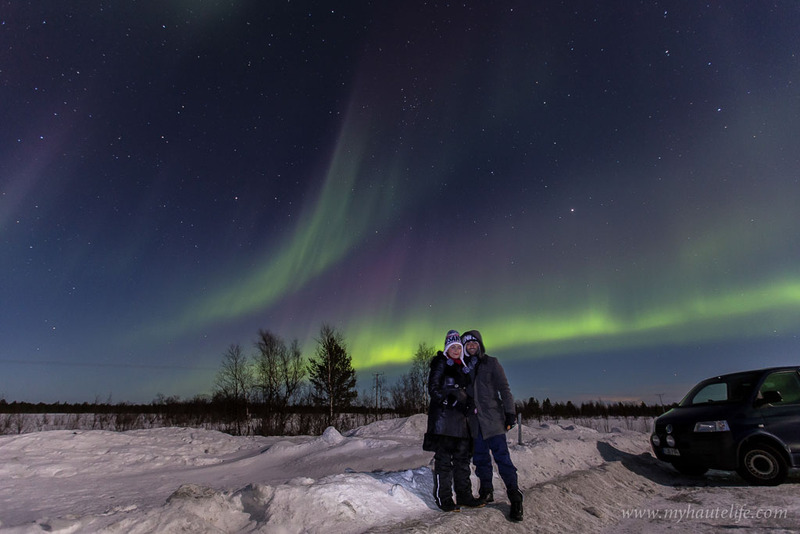 These two are based in Ivalo, in the North of Finland. 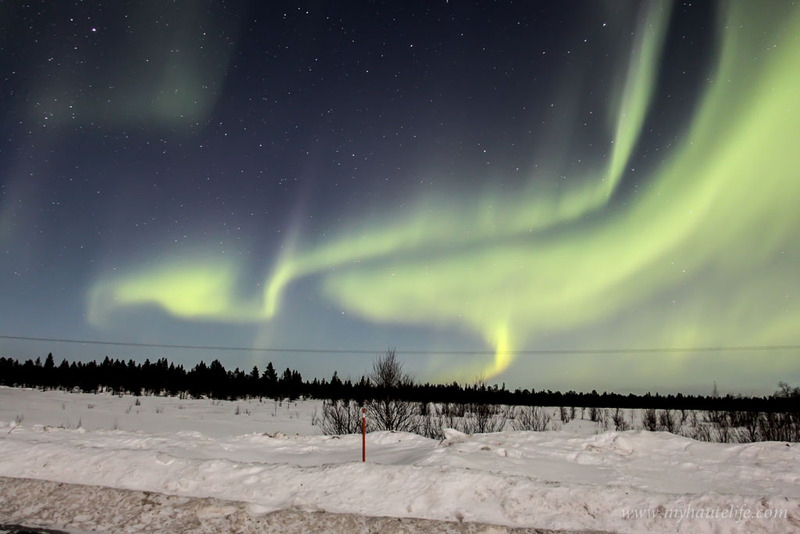 The Lapland Safaris tour in Rovaniemi and Saariselka is also very famous. 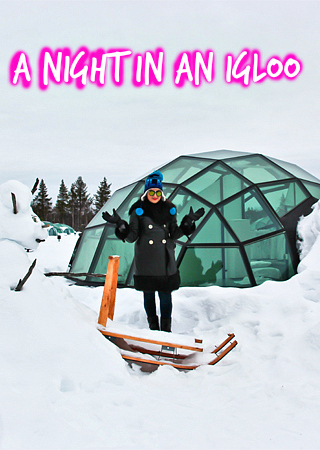 Also hotel Kakslauttenen arranges for tours, but I suggest its best to see it from your igloo. 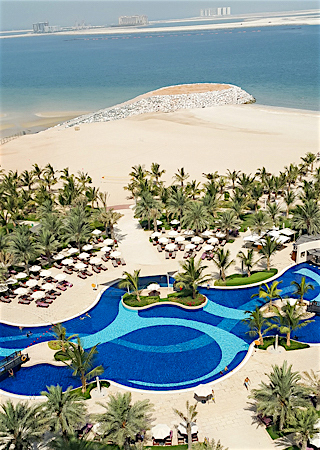 -Check weather conditions at 4pm using the website links above and apps or ask the hotel concierge. -At 7pm go away from the city lights, somewhere dark and below a clear sky. -Try and look for the stars. 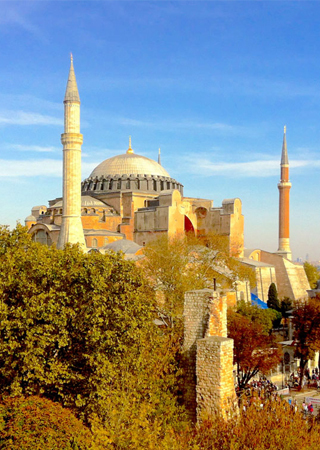 -Set your tripod and use presets on your camera. -Stay where you are unless it gets cloudy. -Be very patient, it could take a few hours. -Try spotting traces of the lights in your pictures. Sometimes they are not visible with the naked eye. -You have got to stay warm! Or else you wont enjoy this adventure. -Camera: You don’t want to miss capturing this beauty. A DSLR would be the best. 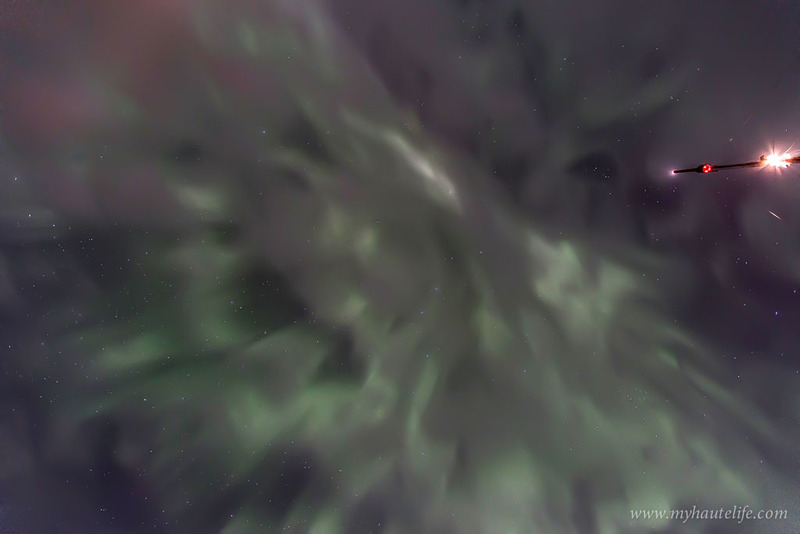 In case you don’t have one then you can hire an Aurora Hunter who clicks pictures for you, well most of them do. -Spare Battery: The cold weather usually drains the battery very fast. In my case, my cameras were charged everyday so it had full battery before I left for the hunt and it lasted all night. You must keep the camera in a thick pouch or close to your body, until you need it. -Tripod: It’s a must because there’s no way you can hold your camera for so long. 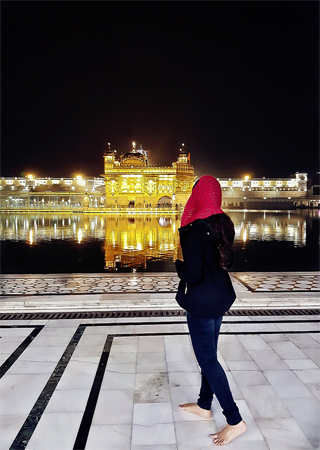 The pictures are usually clicked in a Manual mode with a shutter speed of 20, which means one picture takes 20 seconds to click and if you hold it in your hand you will get blurry images. Hire one or just buy one, but you need it. You can borrow one from your Aurora Hunter too! 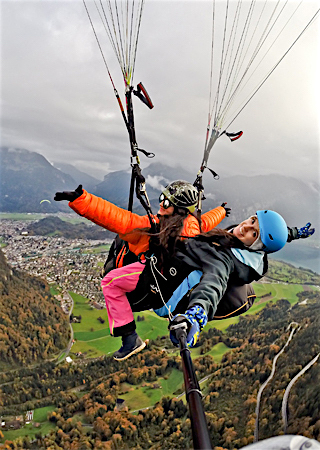 – Silk mittens or fleece gloves as an inner layer so that you can operate your camera without removing your gloves. – Hand warmers: Standing in a freezing temperature for four hours is not easy. These hand warmers were a lifesaver. You can buy them on Amazon. I bought mine from the Lapland Safaris office in Rovaniemi. -Torch light: A head torch would be ideal as you wont be able to get your hands out from the pocket and there are too many things to handle anyway. 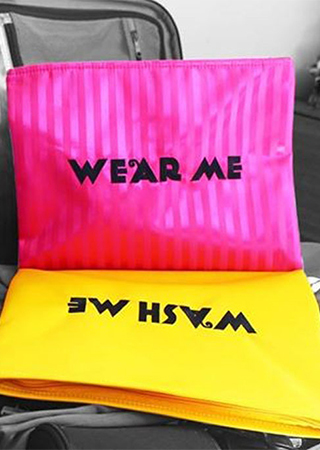 You will need the light to remove things from your bag, check camera settings etc. 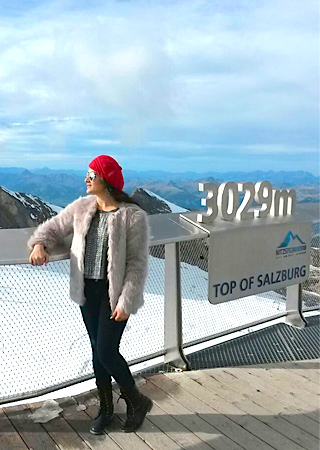 -Warm clothes and shoes: Thermals, fur, fleece, merino wool – Clothes in any of these materials would do, just make sure you’re wearing four layers at least. Don’t even think of wearing anything in cotton. Two pairs of thermal socks will help along with insulated snow boots. If you are cold you wont enjoy this adventure. Also make sure to cover your head and ears at all times. – Carry small bites such as nuts, dates, bananas, biscuits just incase you get hungry, something that easily fits in your bag. Always carry a bottle of water but take smaller sips; it’s hard to find washrooms in the arctic wilderness. Also miniatures of cognac, malts or vodka always help to keep warm. 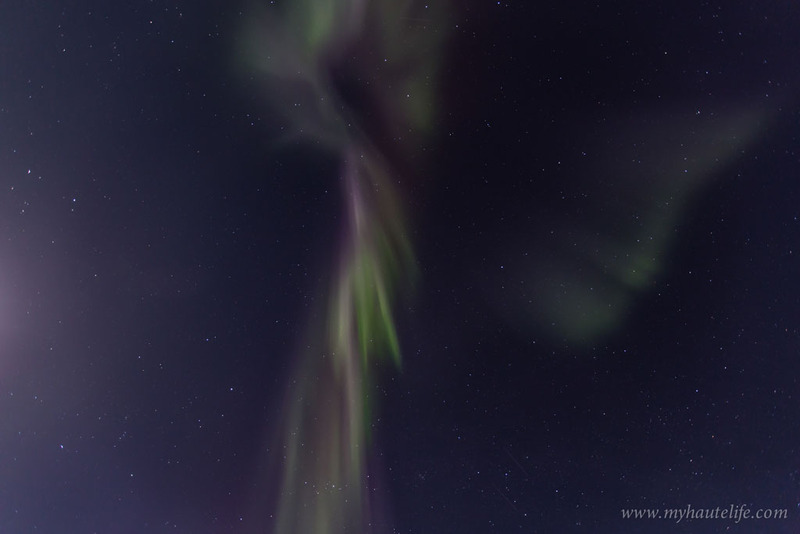 How to photograph the Aurora? 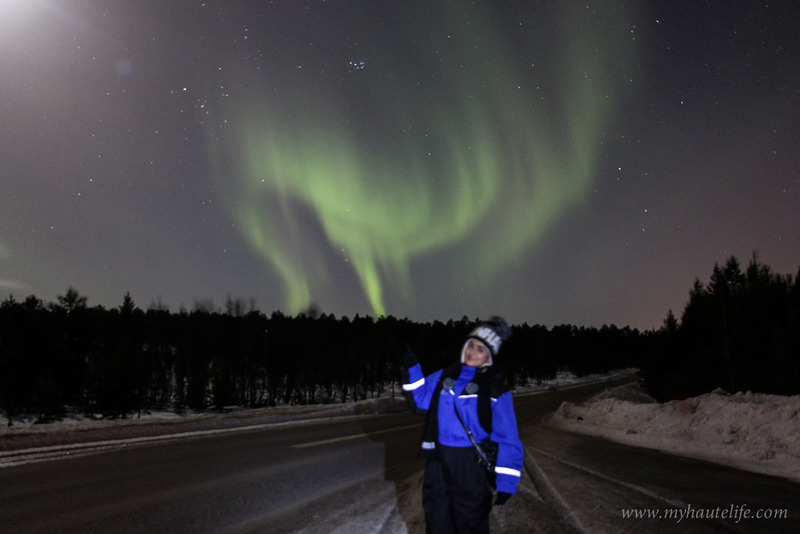 I’m no expert to tell you this but I’m just sharing something I learnt from Juoni, my Aurora Hunter from Ivalo Trek Lapland. 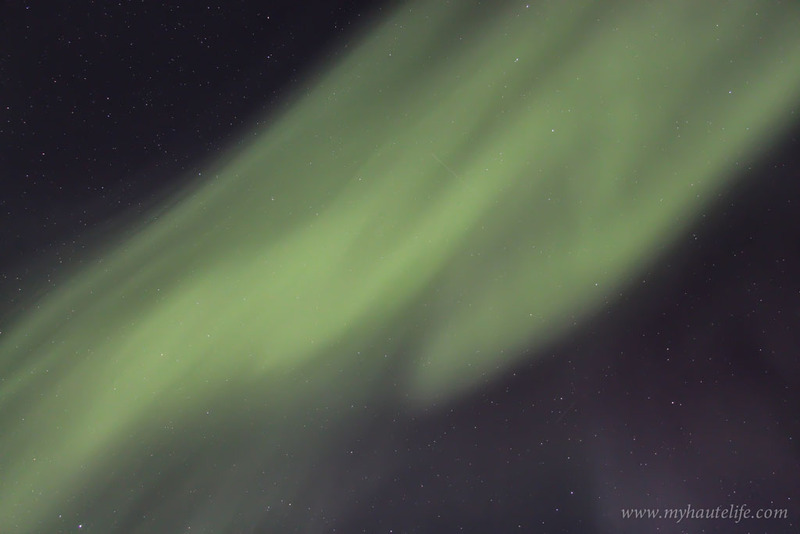 Capturing the aurora is trickier than it looks. 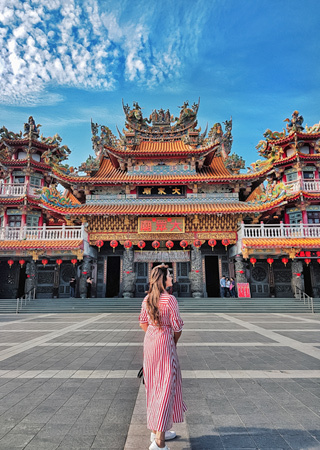 If you’re an Amateur photographer, just use these guidelines to get a decent picture to flaunt to your family and friends. I suggest try some test shots at home before you take the trip, starting with the stars. – Firstly, you need a DSLR, don’t even try clicking this from your phone. I used a Canon700D. A digital camera would also do, but something that has the DSLR quality. -Secondly you need a tripod, a travel friendly yet sturdy tripod. Make sure you can fold it quickly as you might change locations several times in an hour depending on the cloud cover. This is also where the head torch comes in handy as you use both hands to adjust the settings. 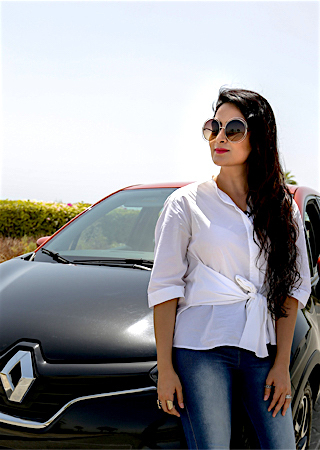 – A wireless remote control to click your own pictures (available on Amazon). I didn’t have this so I used the self-timer. – Don’t even think of clicking this on Auto mode. Set your camera on manual focus with an ISO of 800 or higher, I set mine to 1600. Set the Aperture to the widest setting (the F mark on the screen), the smaller the number the more light the lens lets in. I set mine to 3.5. If you have a good fish eye or wide angle lens, it’s the best for landscape shots. I had a regular basic lens and managed with that. For the focus, your camera might not be able to focus automatically on a dark night, so if your lens has an option of focus to infinity choose that or else, just like me, try manually focusing on a distant light of the star/moon/house. Select a shutter speed of anything between 10 to 20 seconds depending on what you need. I used 10 most of the time. If the lights are bright and fast, you need a short one and if they are dim and slow then longer would do. Since the Aurora constantly changes in intensity, adjust your settings accordingly. – To click your own images, use a self-timer. For focus flash a torch light (for about a second only) on yourself and voila! 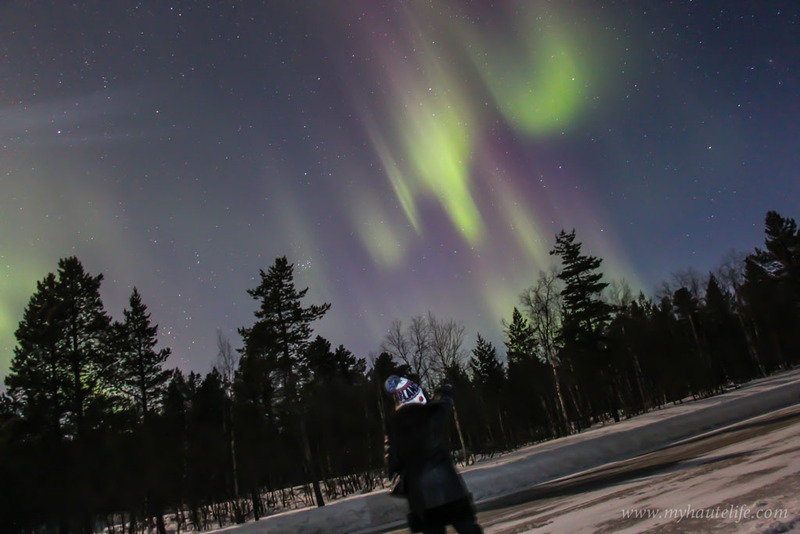 – If you’re still unable to click, don’t feel shy to ask a fellow traveller or your Aurora hunter for help. 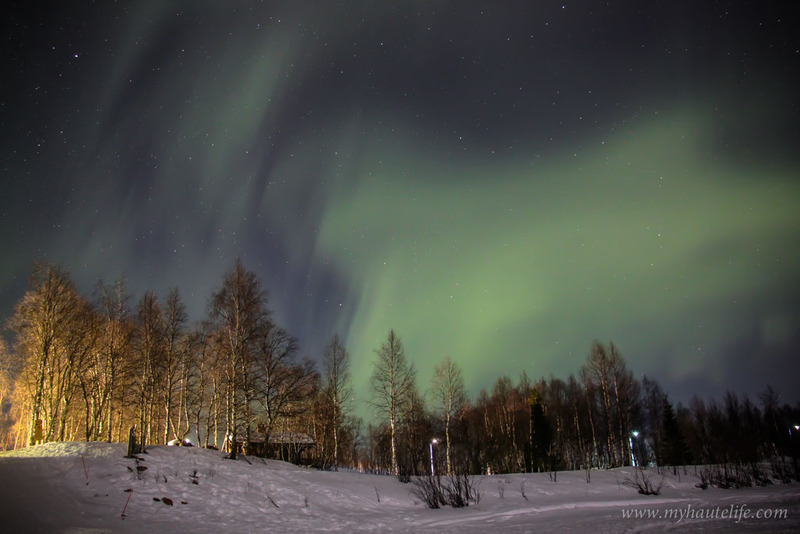 -Plan your Aurora Hunting trip around a good destination and not just for the lights because you need a spot that has activities in the day. Just in case you don’t spot the Aurora at least you leave with tons of other memories. 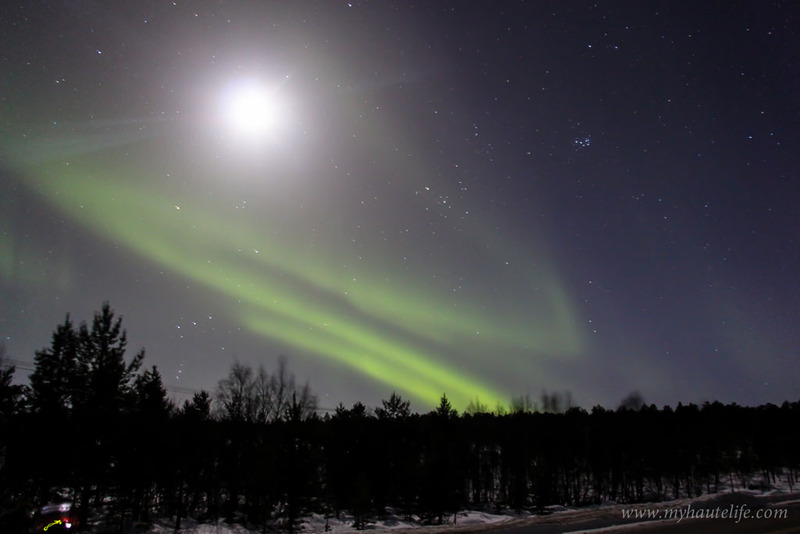 -Northern Lights are unpredictable, so just pray that luck favours you! – The weather can change with a blink of an eye, be prepared. -Keep clothes and shoes ready after 7pm in your room, just in case you have to rush out for a hunt. -You have to put in an effort to see the lights. Do not waste a single night sleeping in that cosy bed when nature’s most magical show is on display. -Finnish folklore has it that in the presence of the Northern Lights, one should behave respectfully or you might upset the spirits. -Don’t forget to enjoy the moment. Don’t go crazy behind the right picture. Pictures won’t do justice to the world’s most spectacular light show seen live. 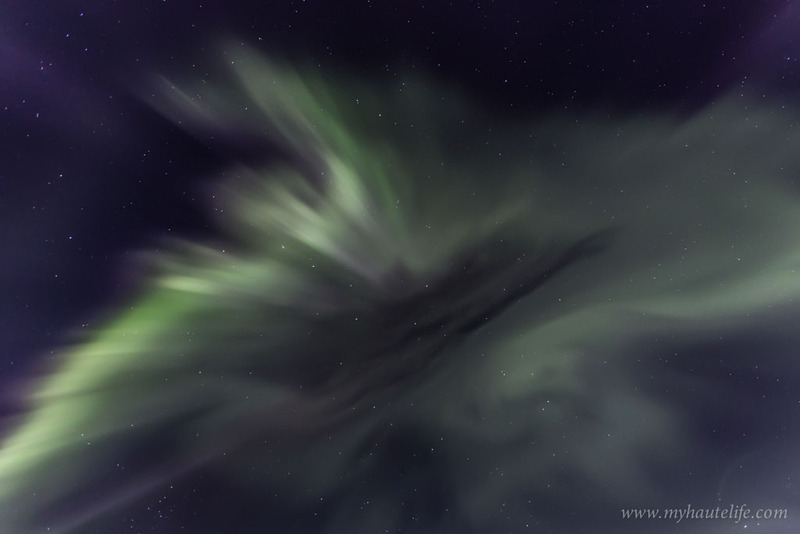 Here are snapshots from my Aurora Adventure. Day 3- The best lights ever! 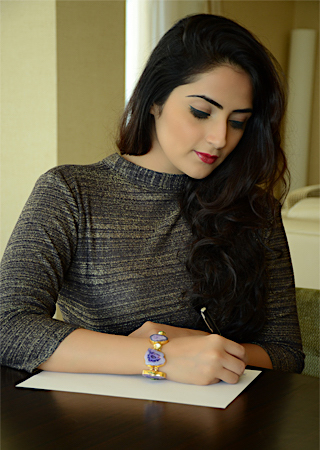 I love your article! It’s so cool to read that you really enjoyed it and also to see the places where I often go chasing the lights myself 🙂 It is a pity that we did not meet in March 2016! Thank you so much Rayann 🙂 Means a lot! I AM SO JEALOUS!!!! 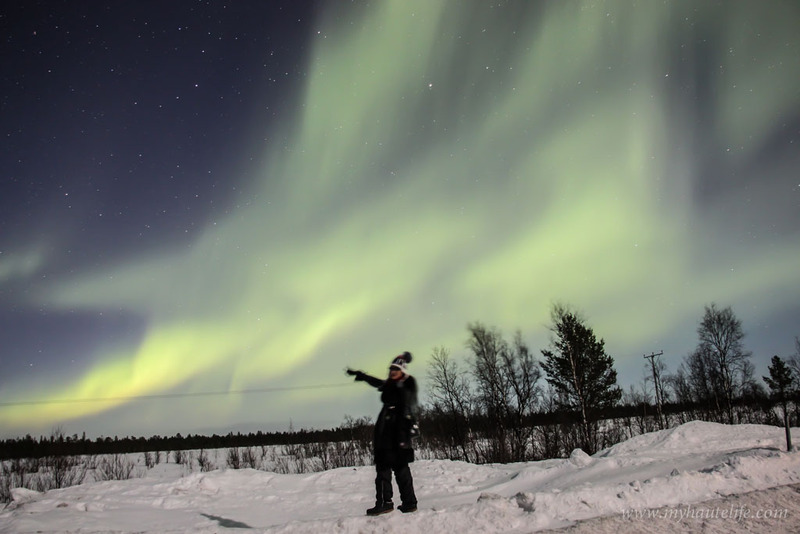 Thank you for the blow by blow instructions on how to do everything when aurora hunting, I feel like all I need to know is in this article! You are so great! I can still feel you excited and smiling while I read it. I’m sure my husband will appreciate the how-to in taking pictures. I love that you posted so many photos. 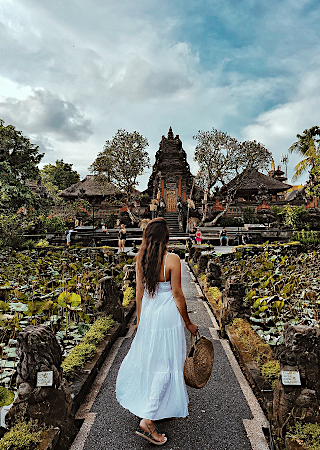 I have extreme travel envy. seeing the northern lights is something I’ve always wanted to do ugh. So glad you liked the pictures. 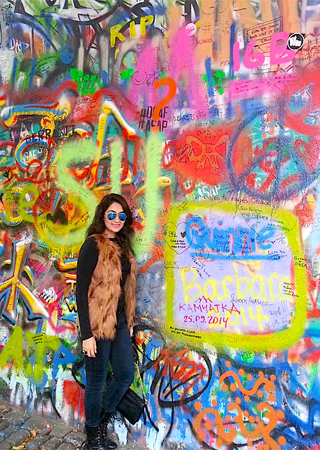 You must visit this place it’s so worth it! 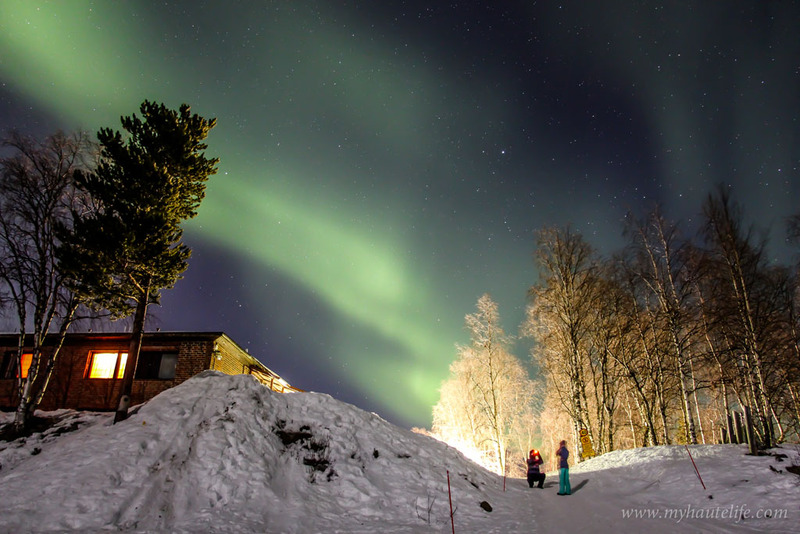 WOW, you have managed to capture Northern Lights so well – especially love the pictures where you are in the frame! Got to chase them! Thank you so much Harsh! I did it with the help of my Aurora Hunter he was amazing. These are some amazing photographs, what kind of equipment did you use? From what i can tell from one of your images you use a DSLR right? I used a DSLR and a Tripod, that is all you need! I have mentioned details in the blog post. Oh you must go to Finland, it was so beautiful! Such a beautiful and amazing post. Thanks for so many details including how to photograph because that can really come in handy for amateur photographers. It really is a once in a lifetime experience and I hope to see it one day soon. breathtaking pic such amazing view..
How did you travel between Rovaniemi and Ivalo? Did you drive or go by bus? I believe there are no flights between them. 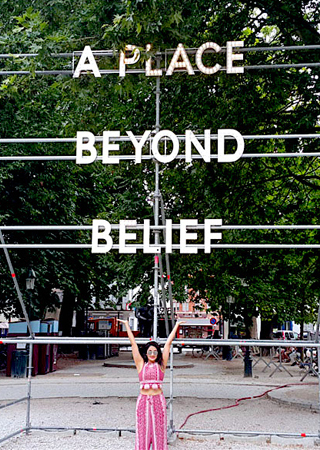 Absolutely loved this article, it transports a person to the fairy tale like Lapland! 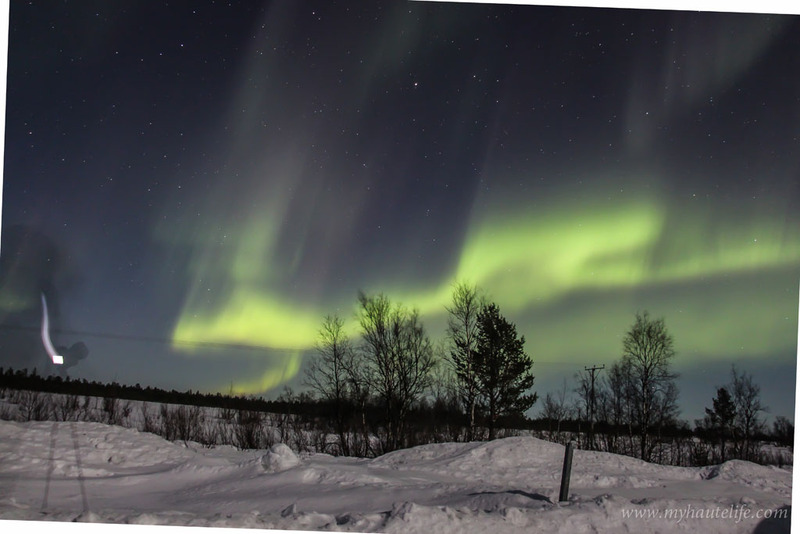 I too am visiting Lapland from 21st Feb to 2nd March ( 2 days in Karigasniemi and the rest in Saariselka) . 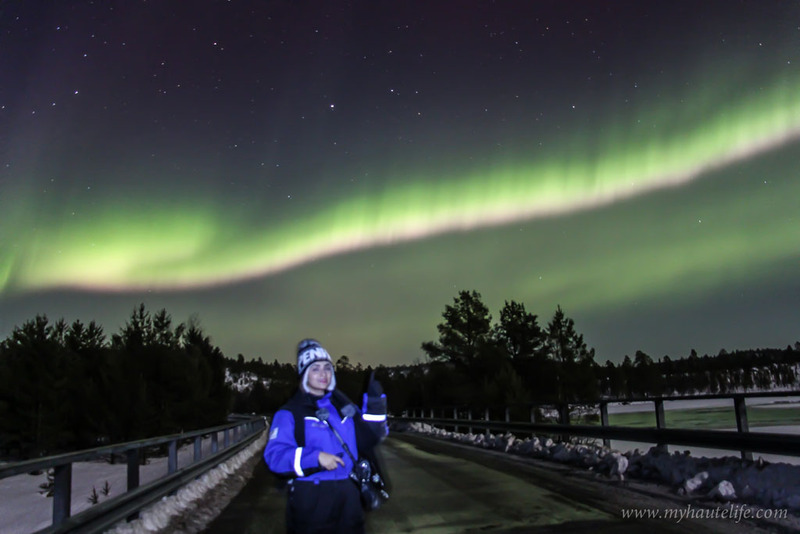 Wanted to know what are the chances of seeing the Auroras with an expert aurora hunter? Also, does a KP index of 2 or 3 means almost impossible or chances are still there given we are at a high latitude? 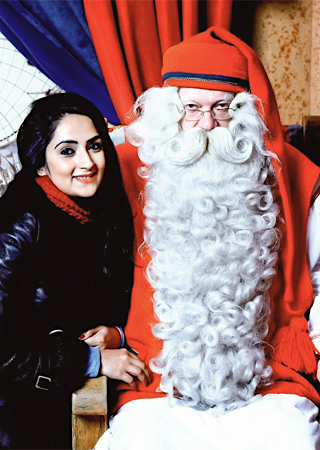 Thanks so much.. Glad you liked it..
You’re actually visiting Lapland at the perfect time.. 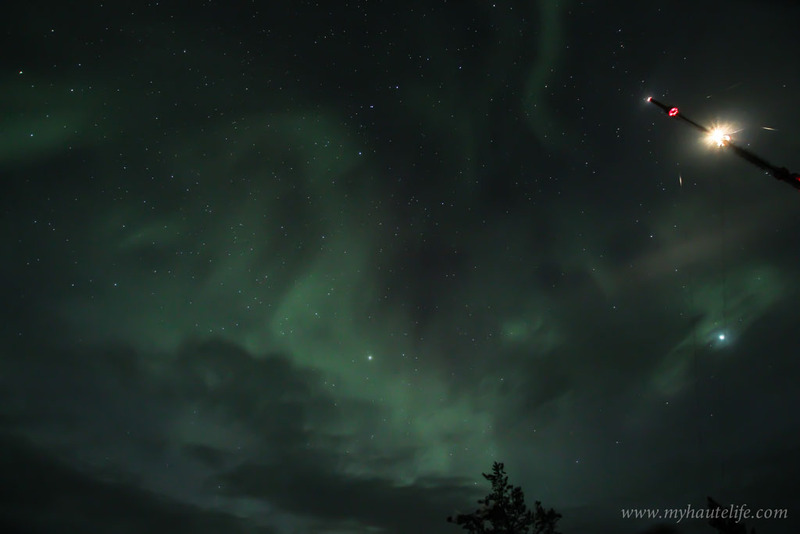 The chances of seeing it with the Aurora Hunter are always higher as they know the best spots and they can drive you around, chase the clouds and can even predict if the activity is strong enough or no. 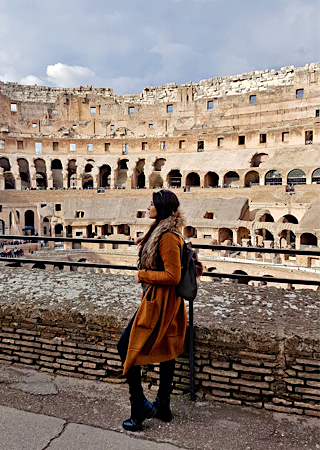 I would recommend atleast one tour with a professional guide. A KP index of 2 or 3 is average. 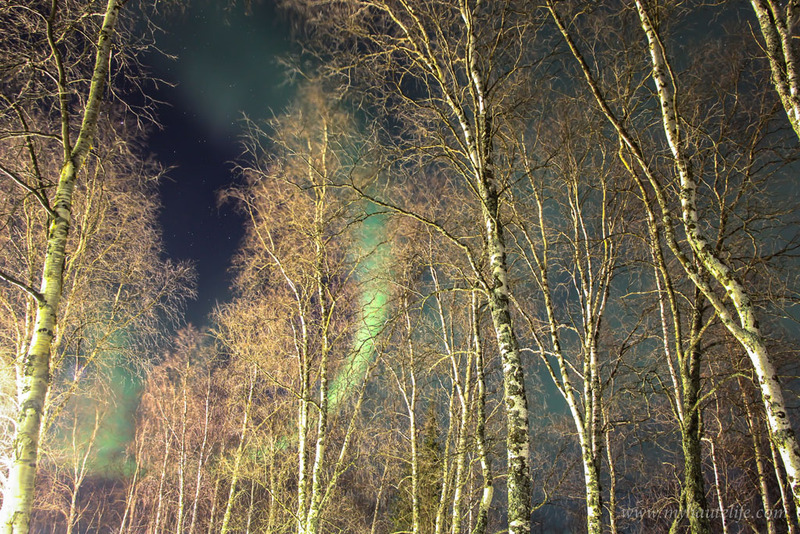 If the sky is extremely clear you will see the lights, if not then you might just find a very blur green streak in the sky. Try taking a tour when the KP index is around 4 or up. On a clear night, the chances of seeing it will be much much higher.. And most importantly you have to drive away from the city lights. 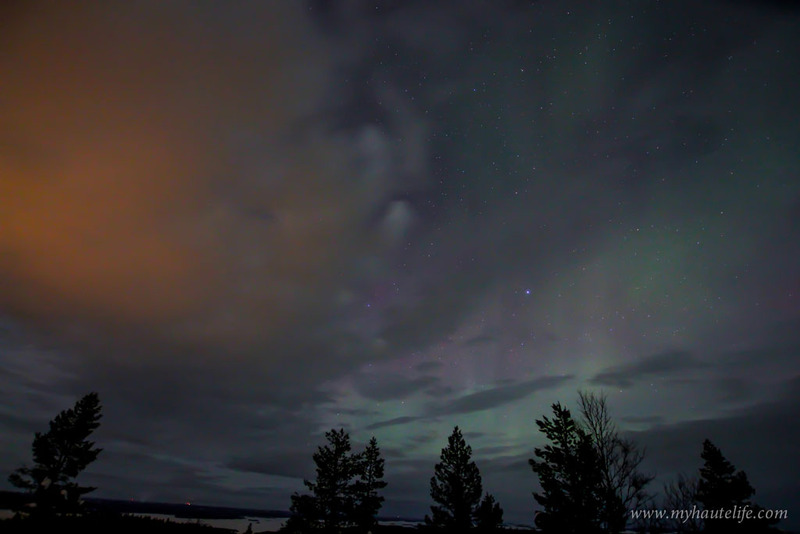 I would really recommend going up to Lake Inari, its a very popular spot for spotting the Aurora Borealis. The northern lights, or aura borealis, are so beautiful. I recall when I was a lad being able to see them from my home town in Canada…since light pollution has all but obstructed them. Your pictures are amazing. Wow! This looks incredible!! The pictures are stunning! Such a wonderful article. It was very informative. Thank you for sharing. 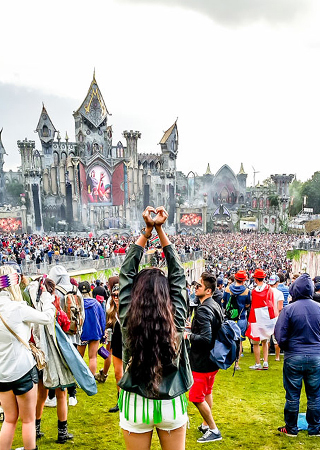 This is my dream! Thanks for such a detailed and informative post. I can’t wait to see these myself one day. This is fantastic! It has been a dream to witness this live but reading your post felt like we were really there. 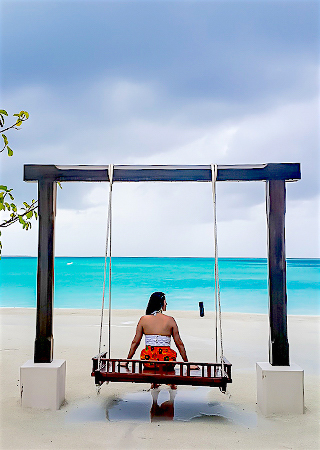 Thank you for sharing and for the awesome photos! I Love you articles . It Nice to Read it. I’ve always wanted to see the Northern Lights! I’m not sure where it came from because I’m growing to not enjoy the cold at all. I think I’d be so disappointed if I visited and didn’t spot them. watching Northern lights is one of my dreams. Very much enjoyed reading this article, such an informative post. Thanks for sharing.